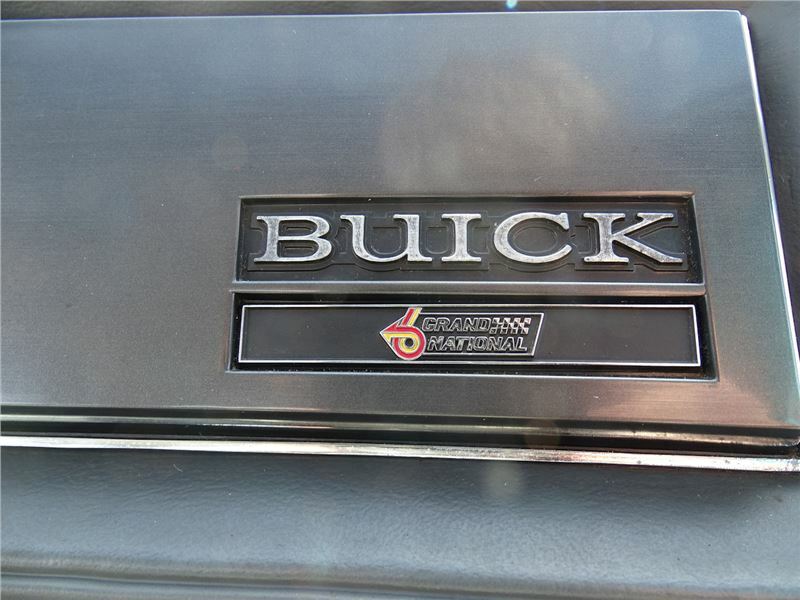 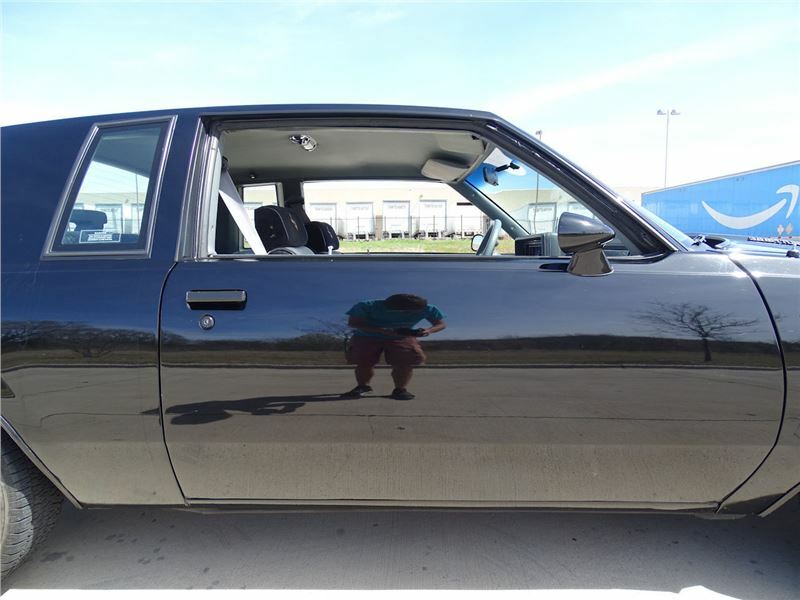 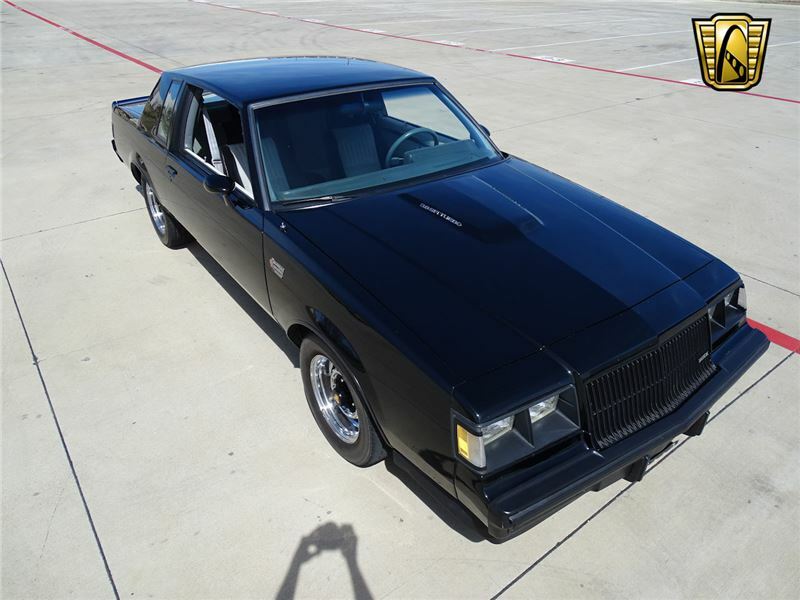 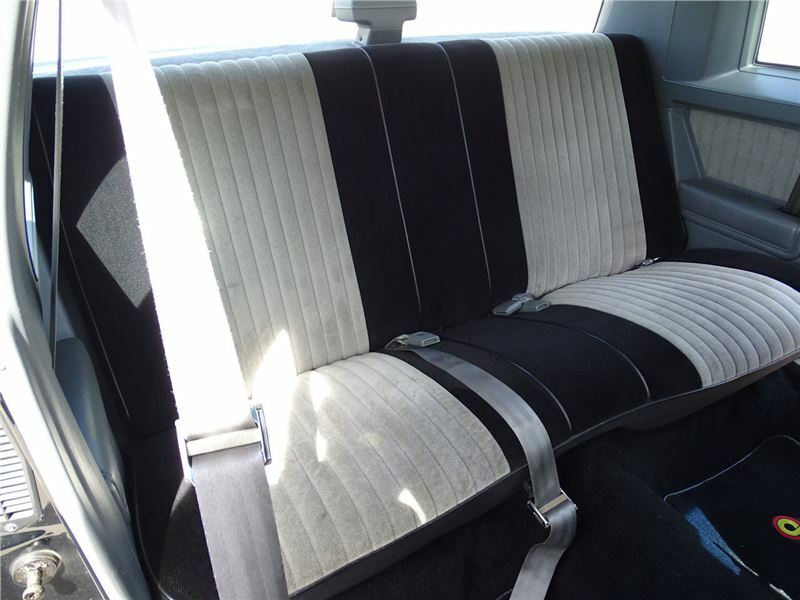 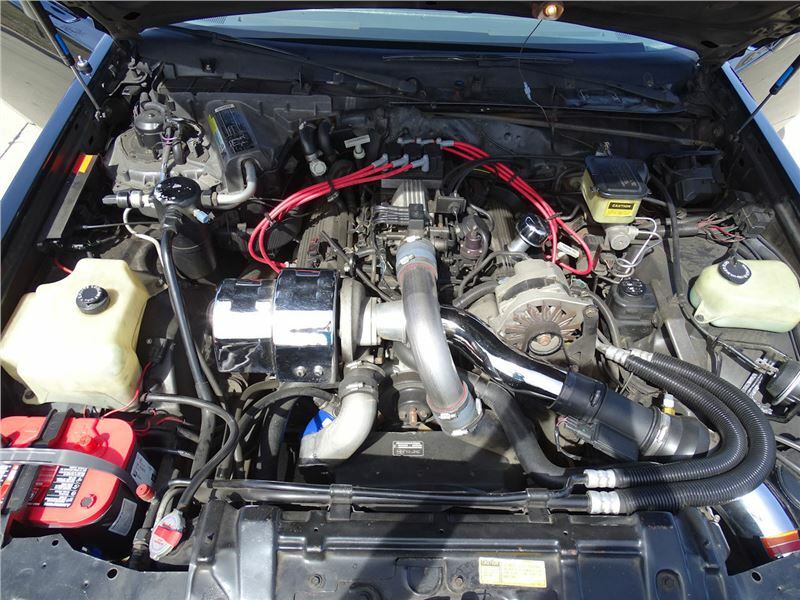 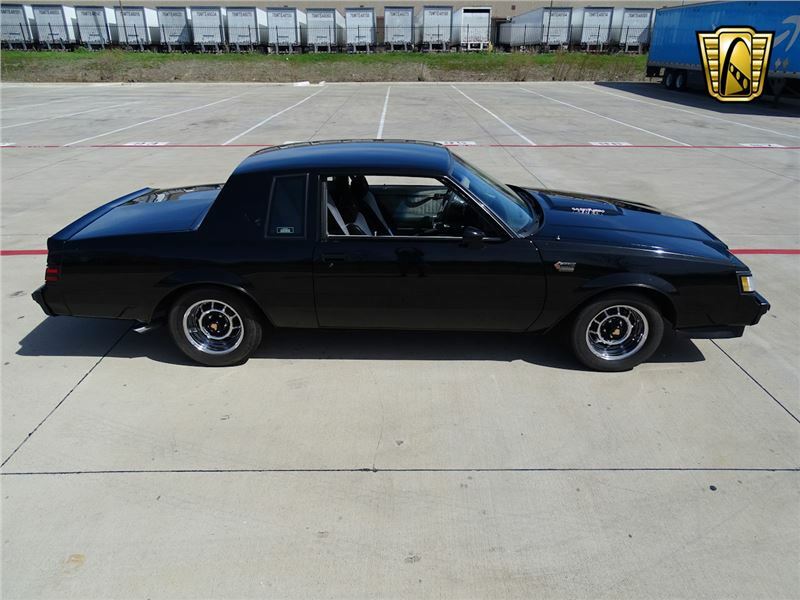 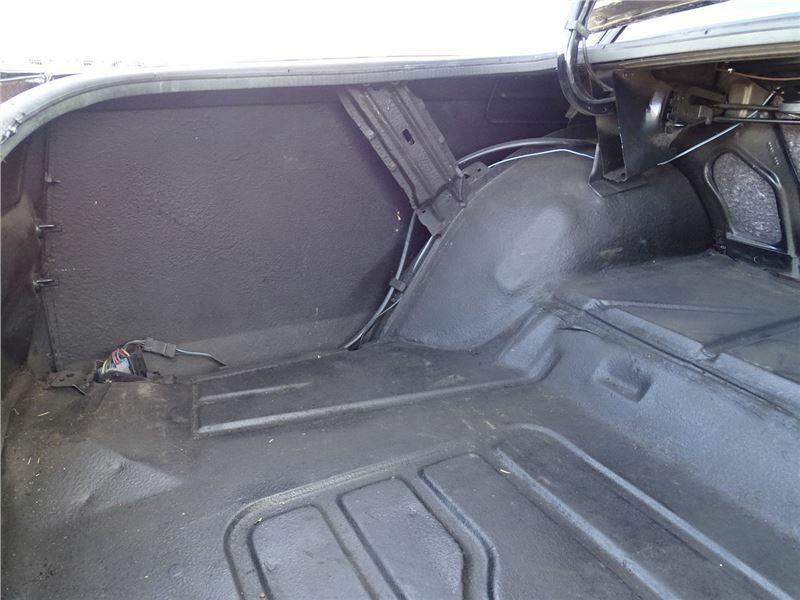 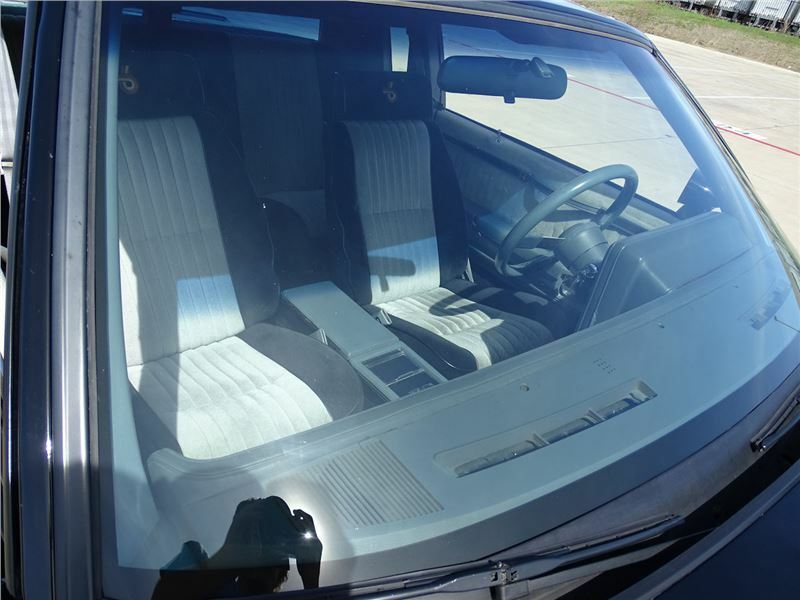 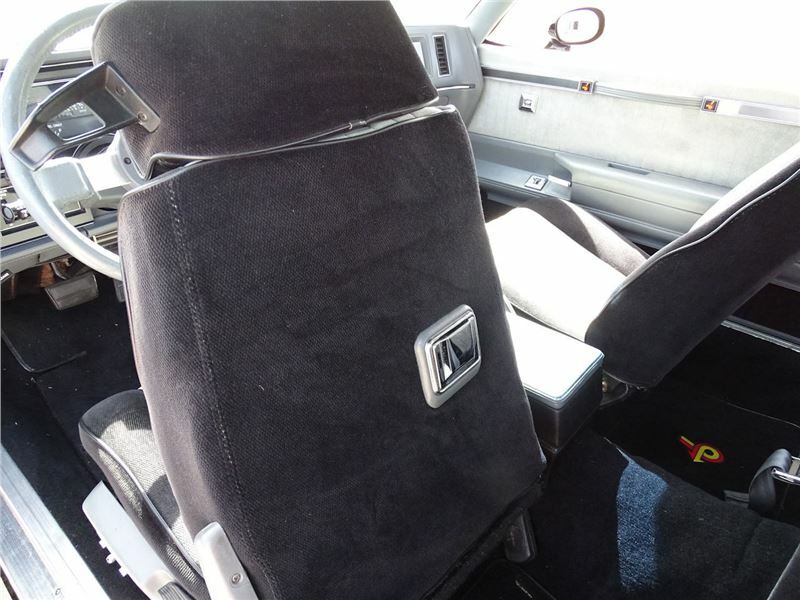 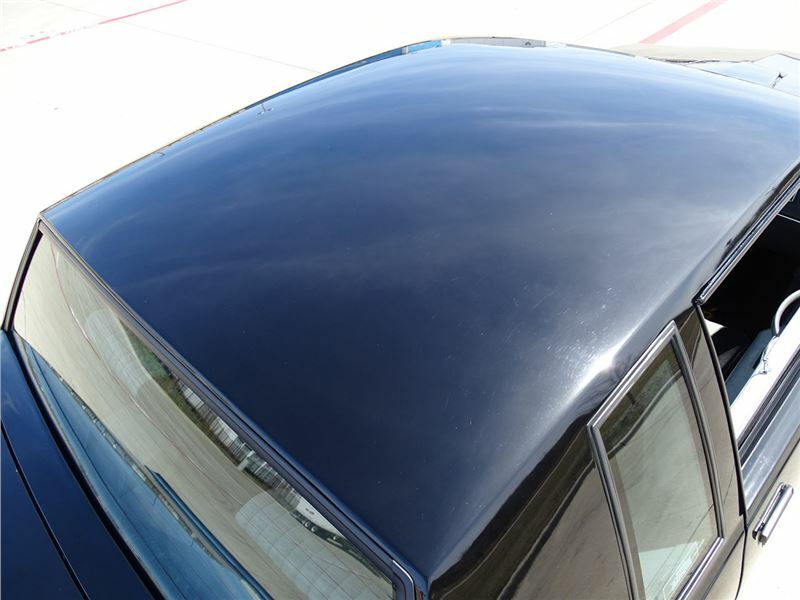 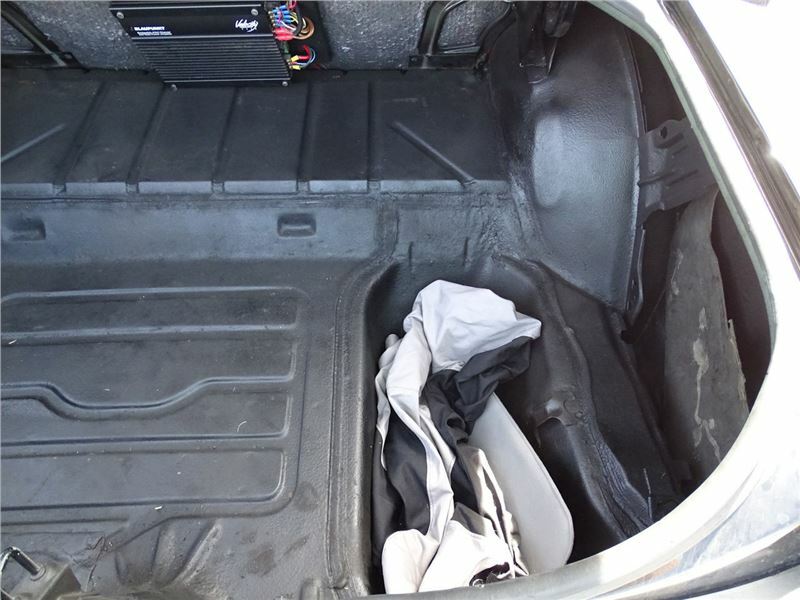 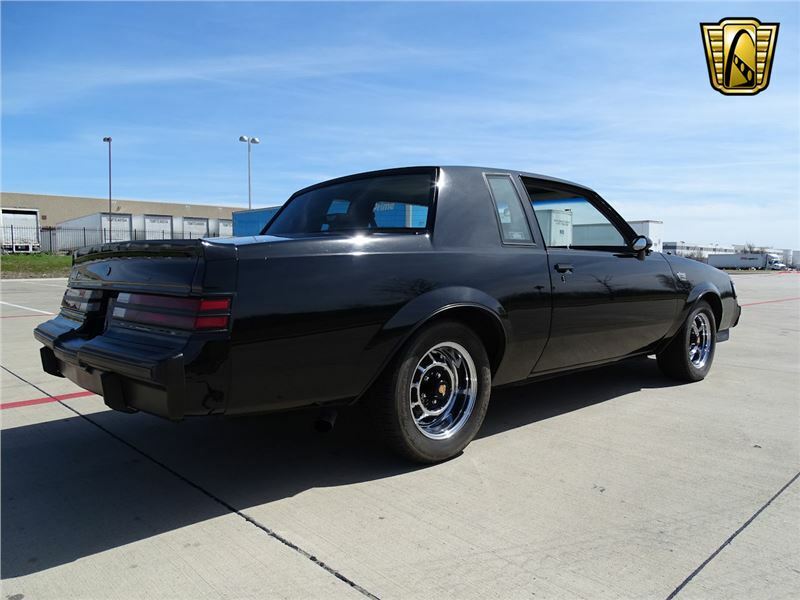 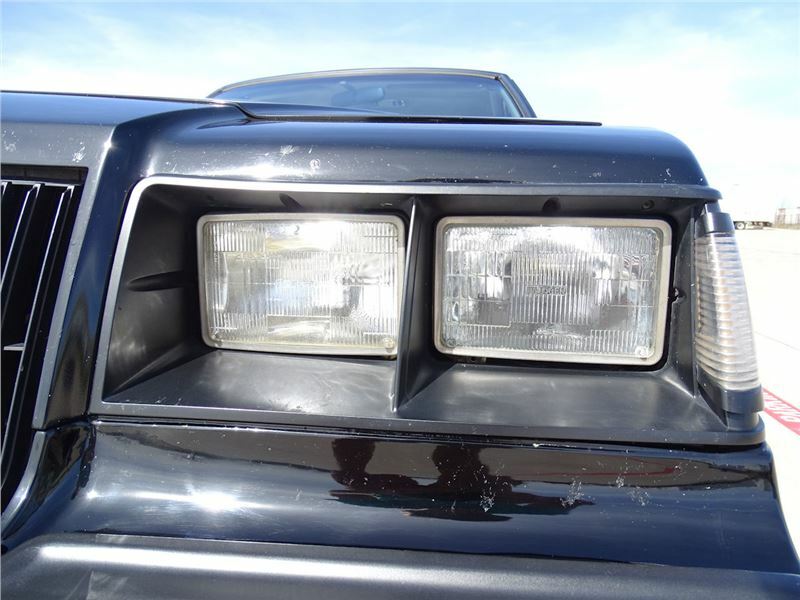 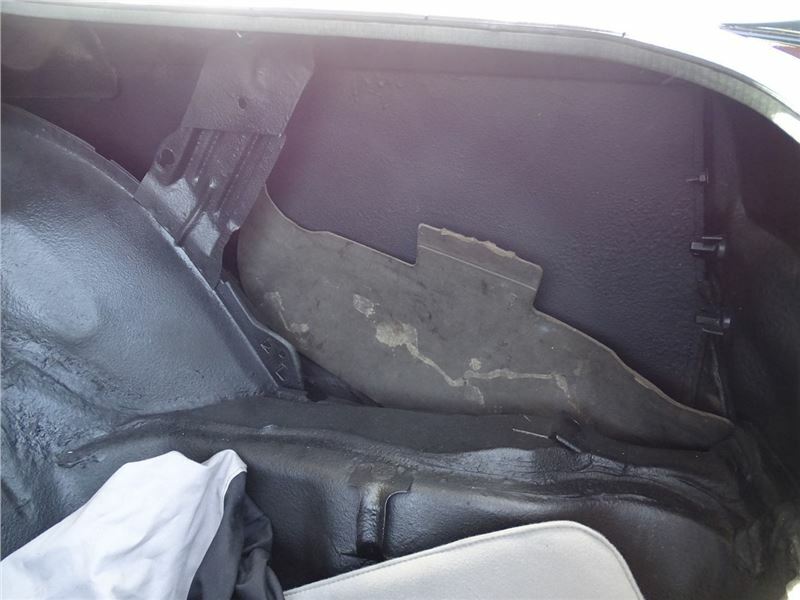 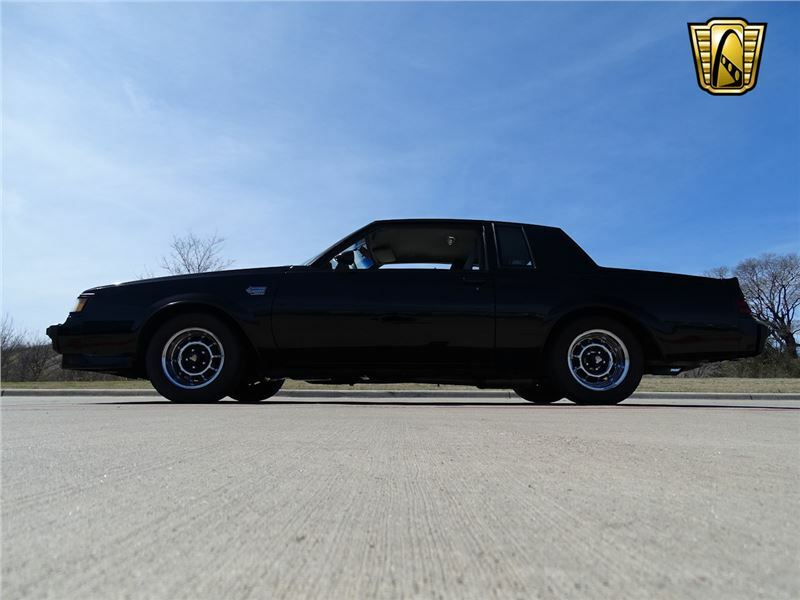 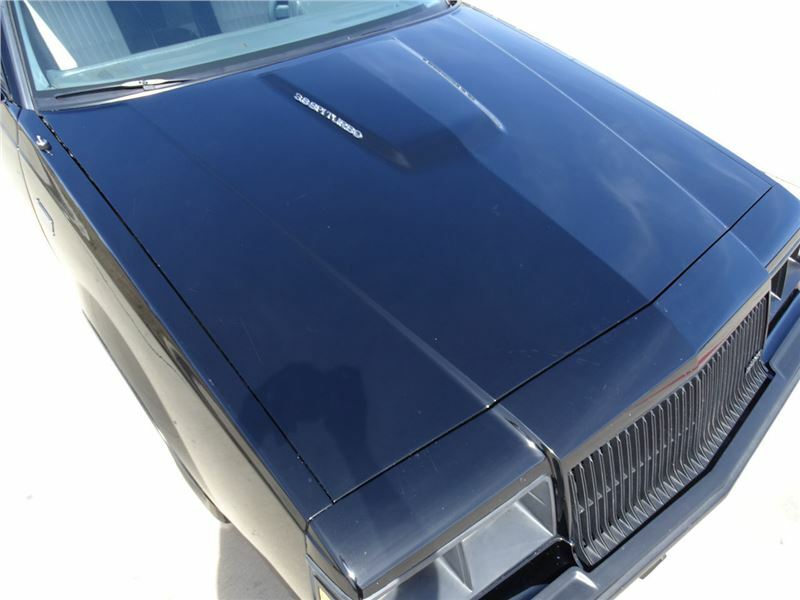 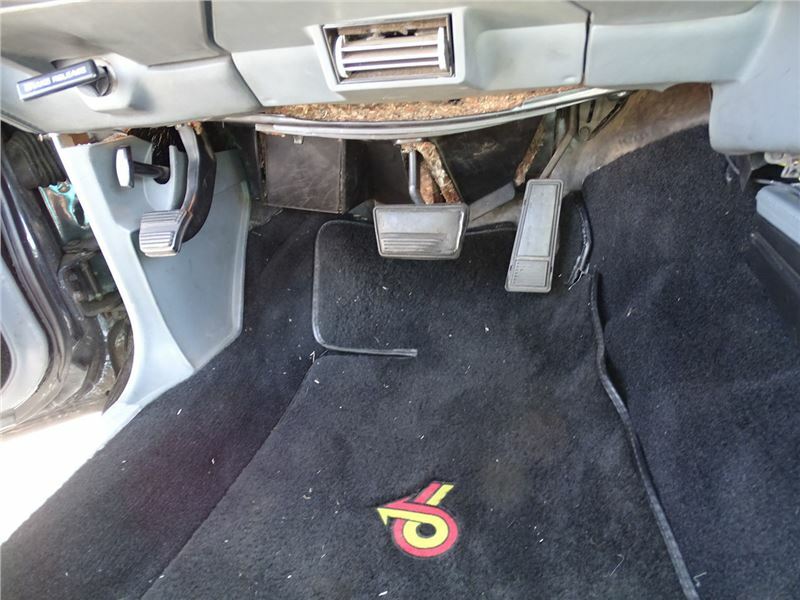 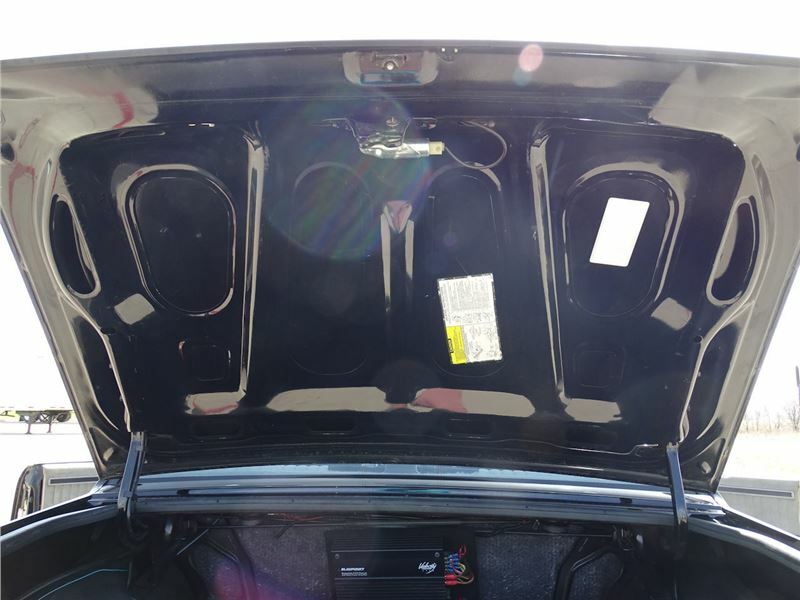 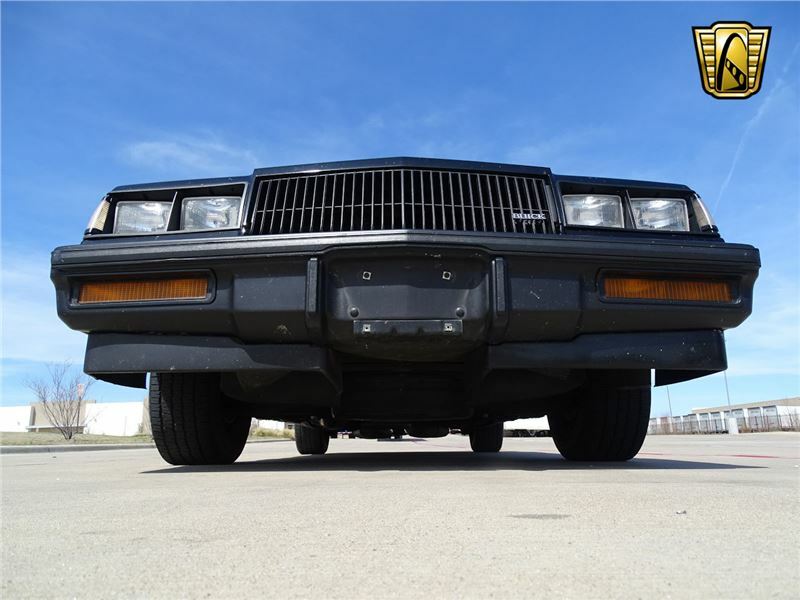 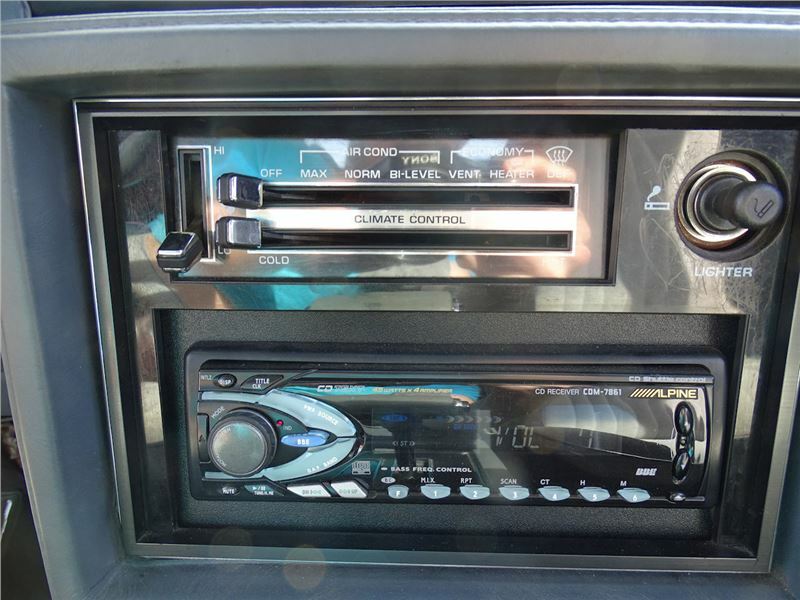 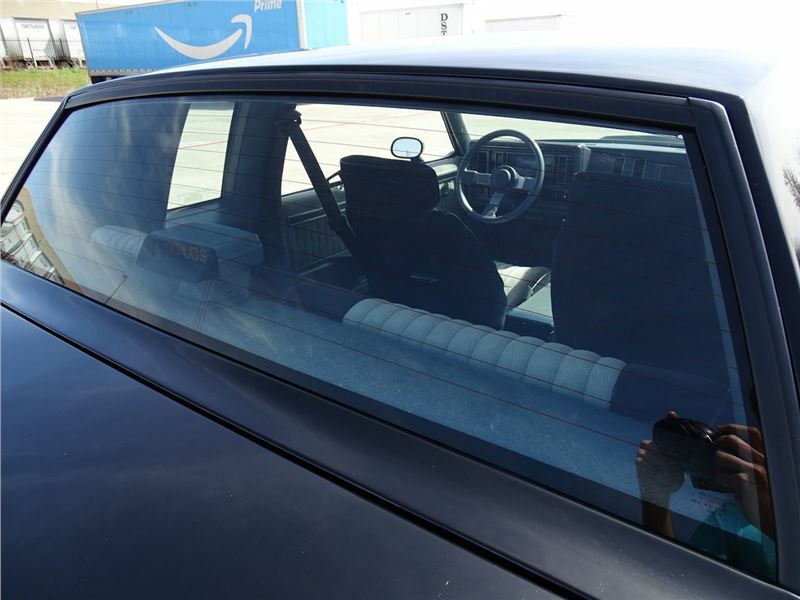 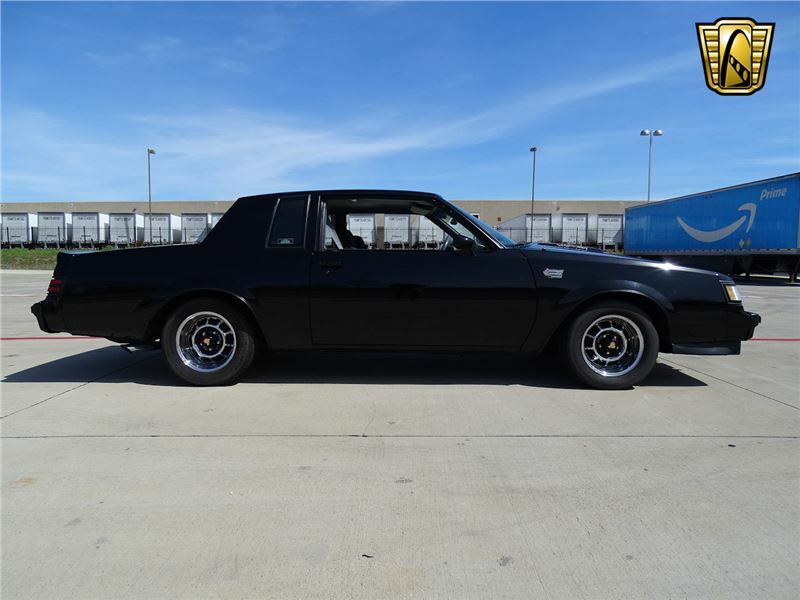 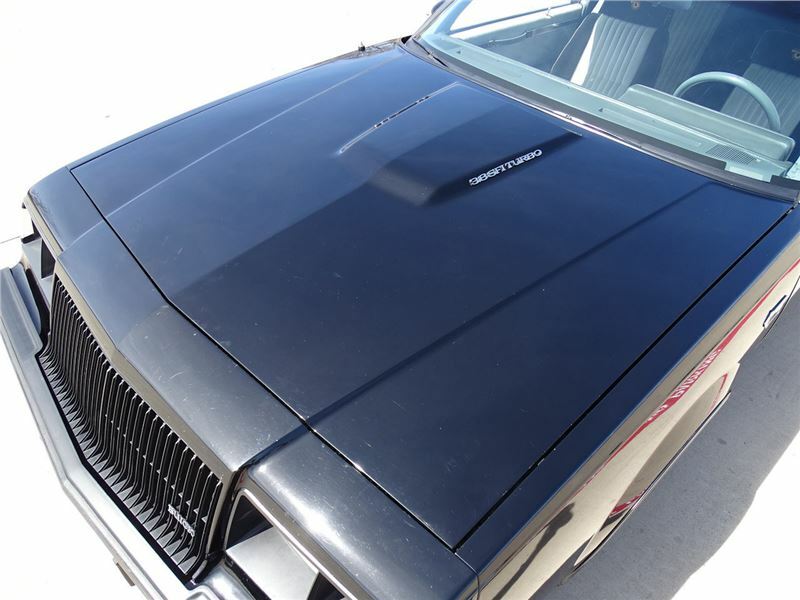 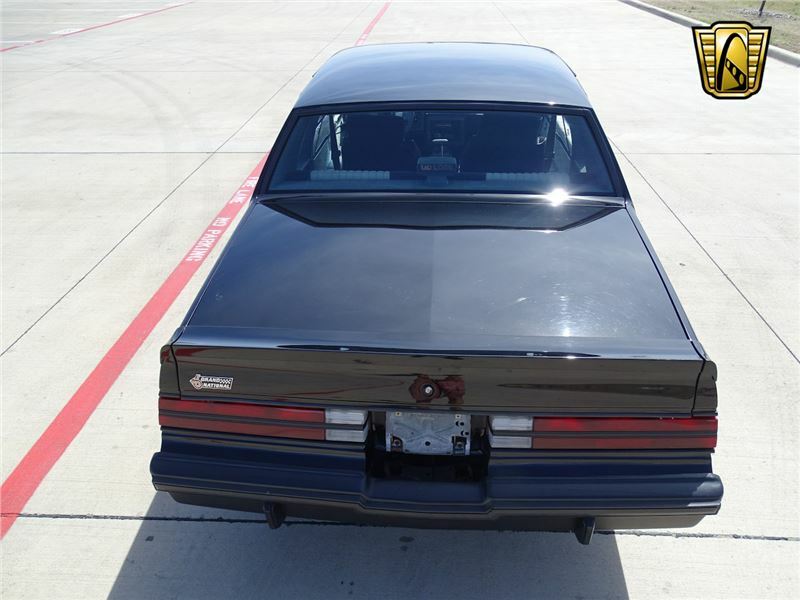 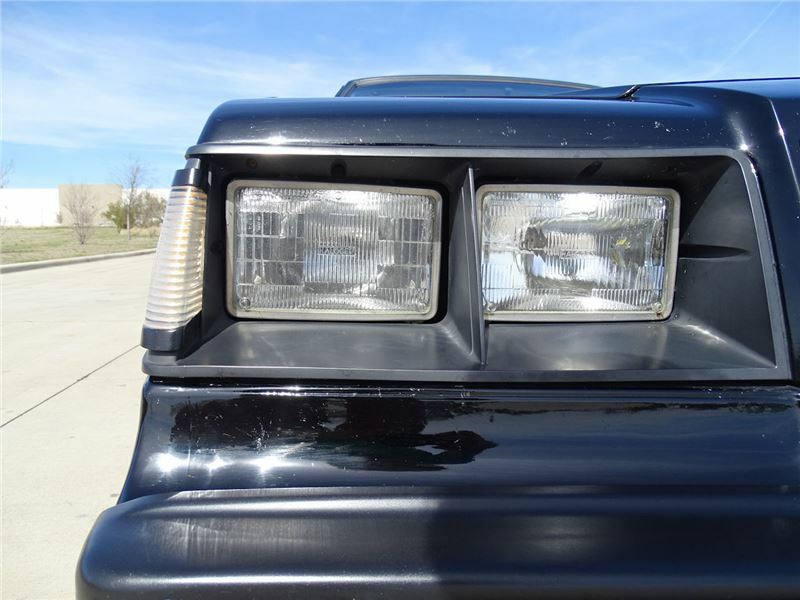 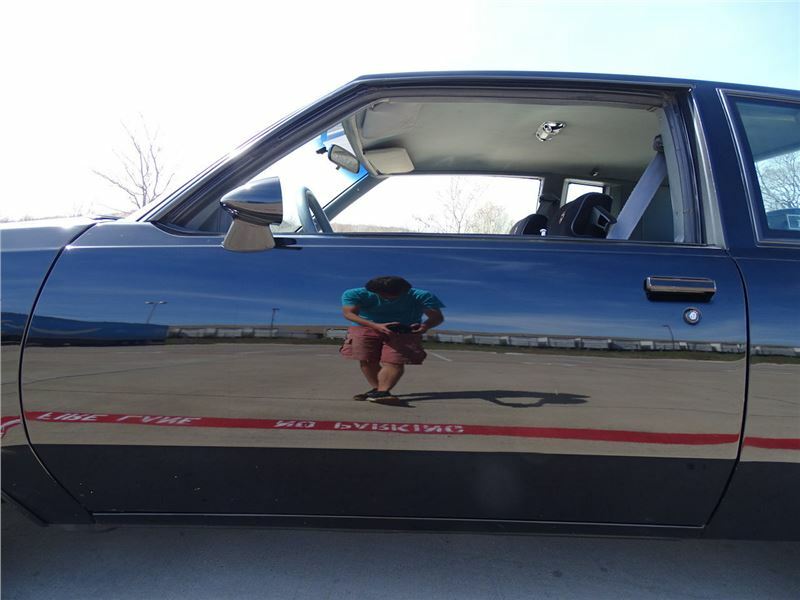 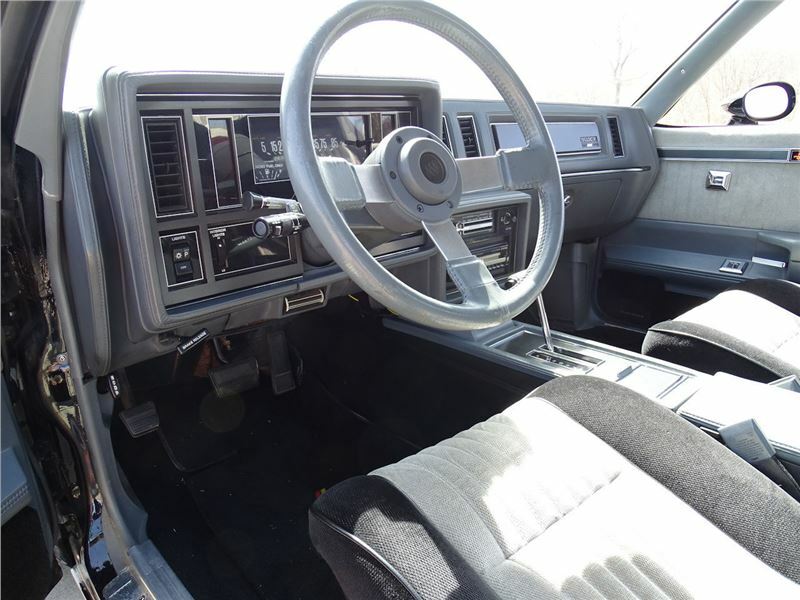 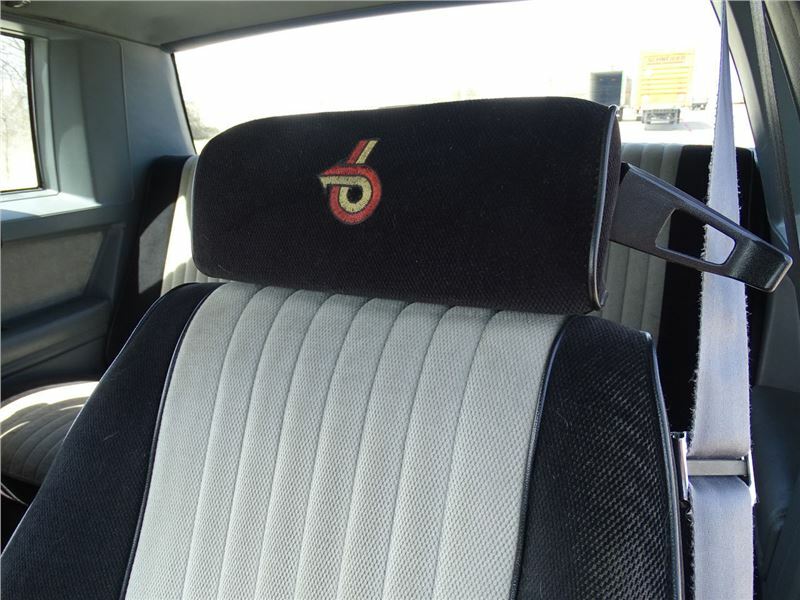 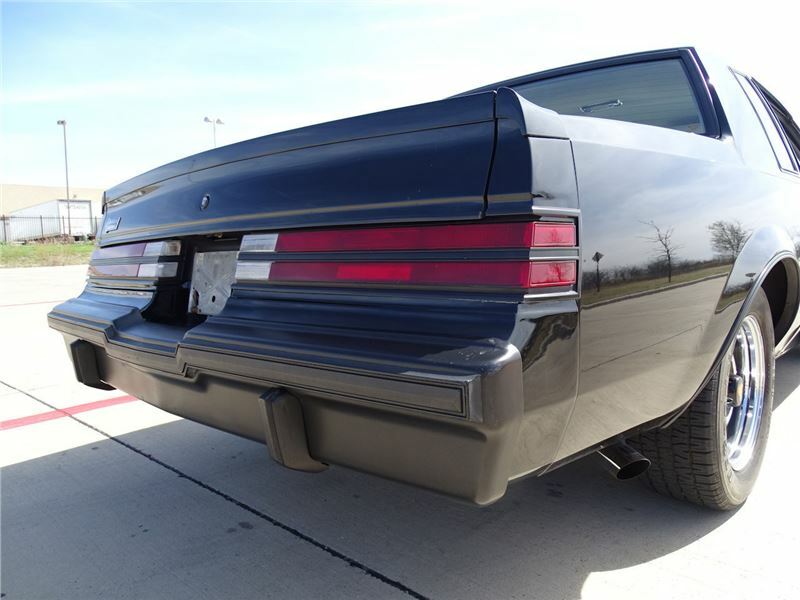 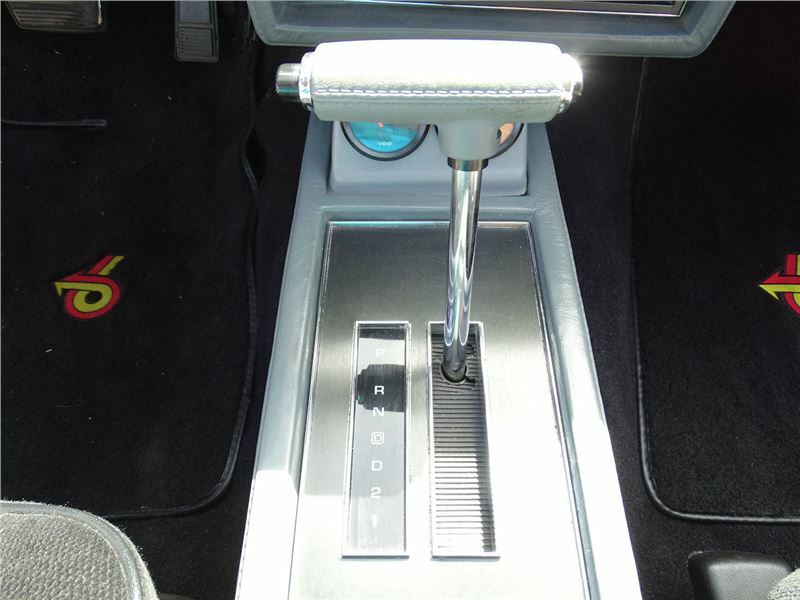 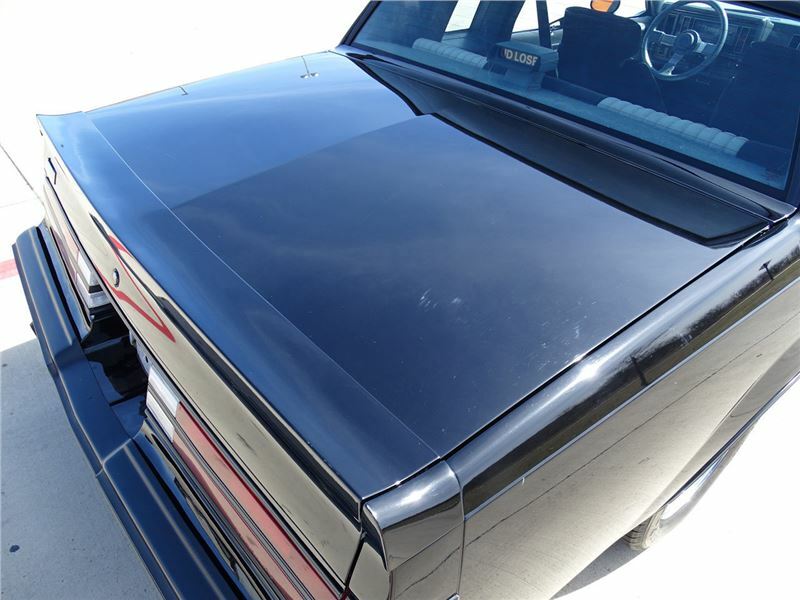 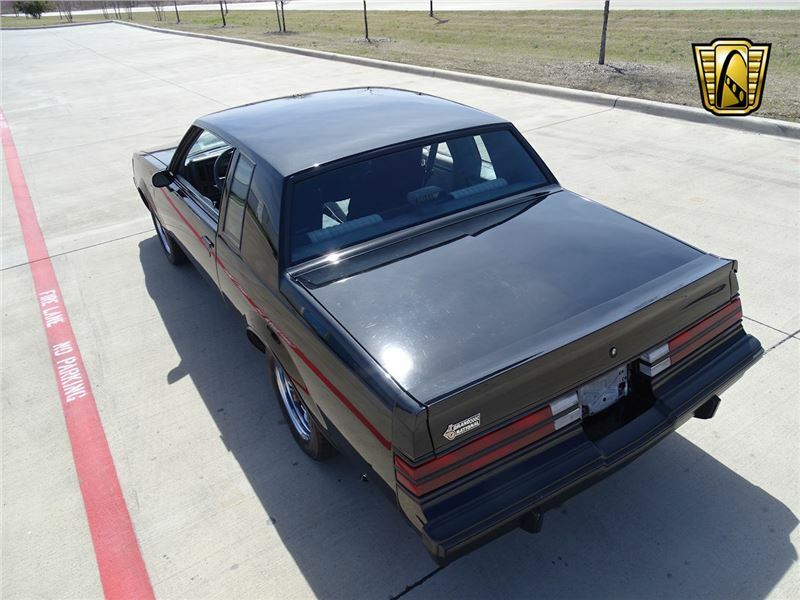 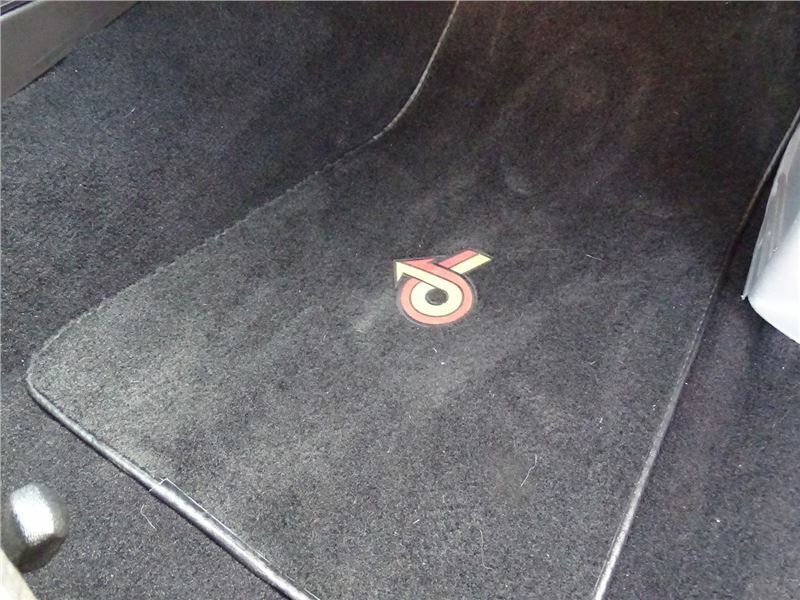 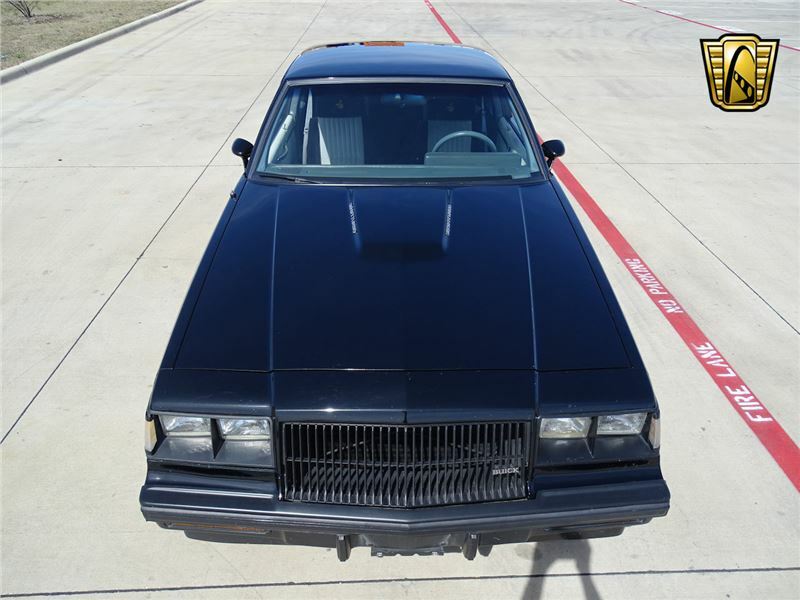 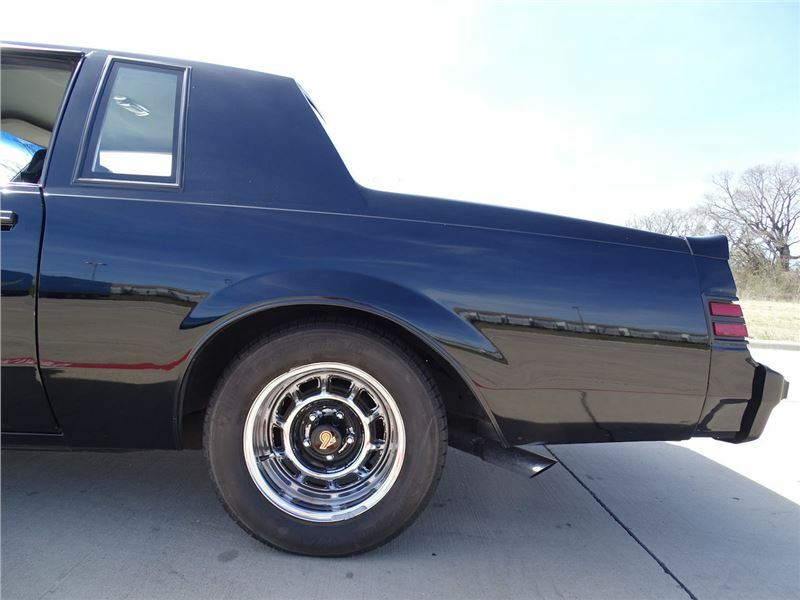 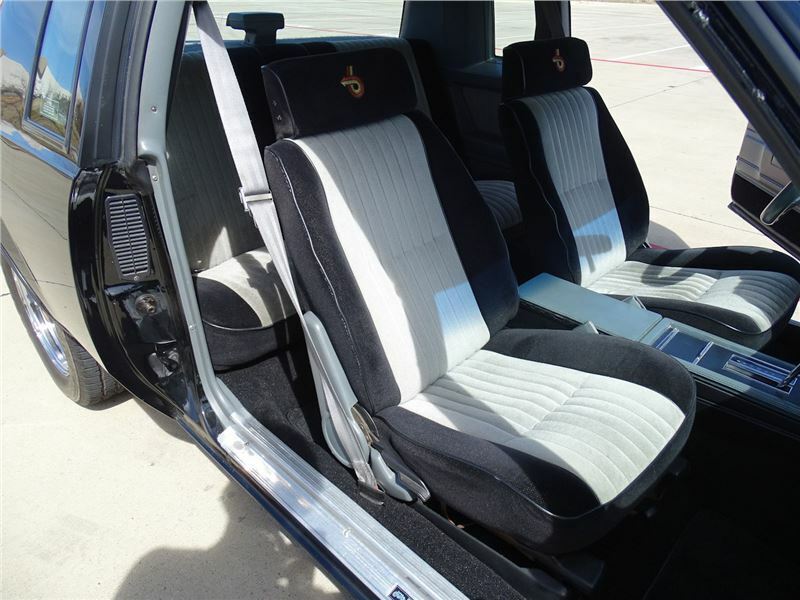 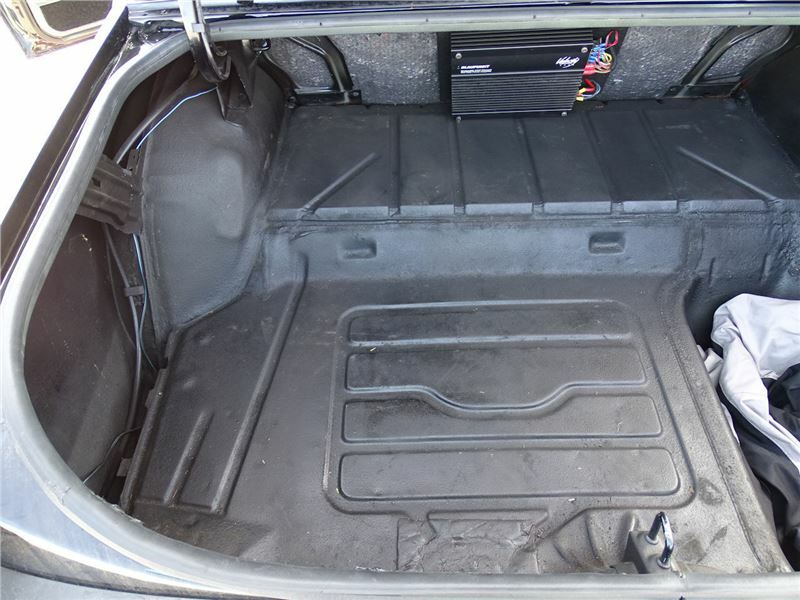 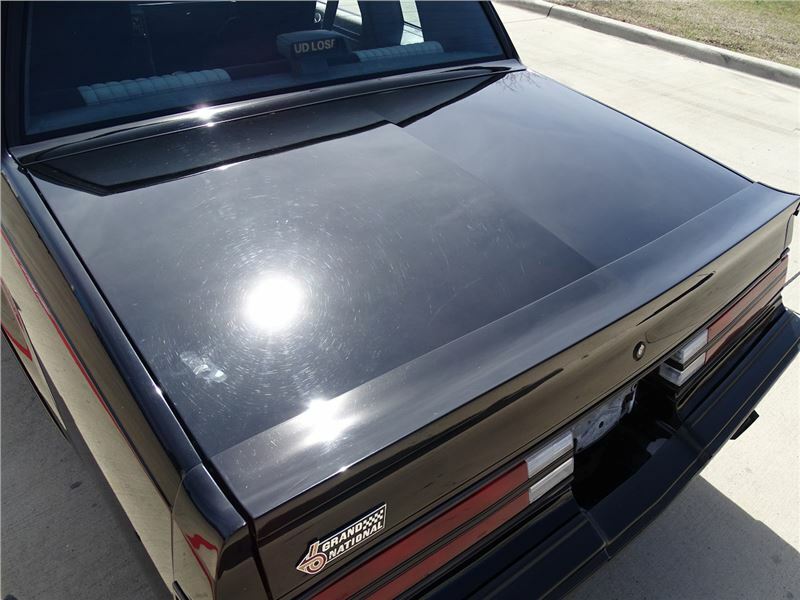 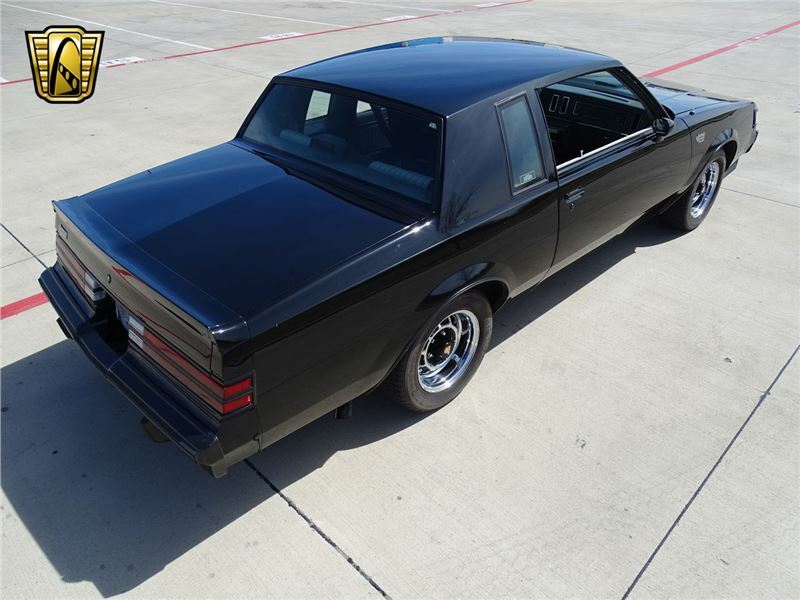 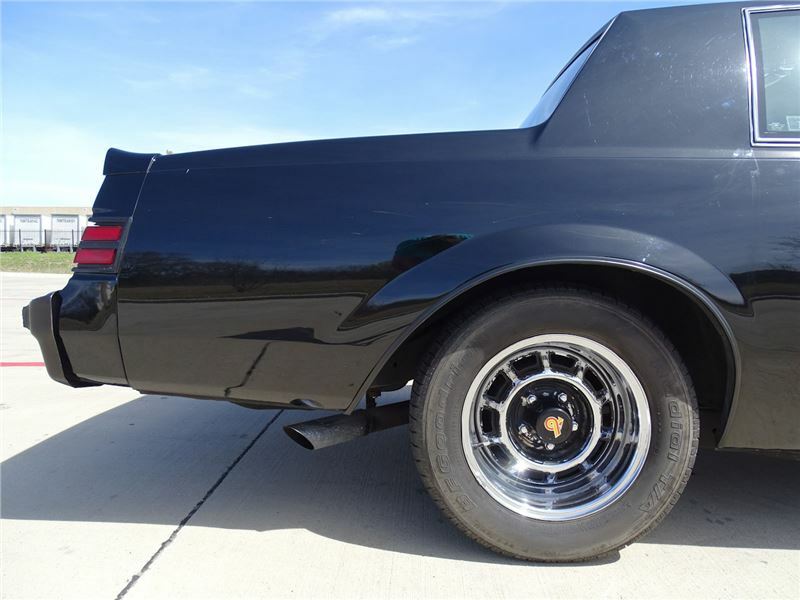 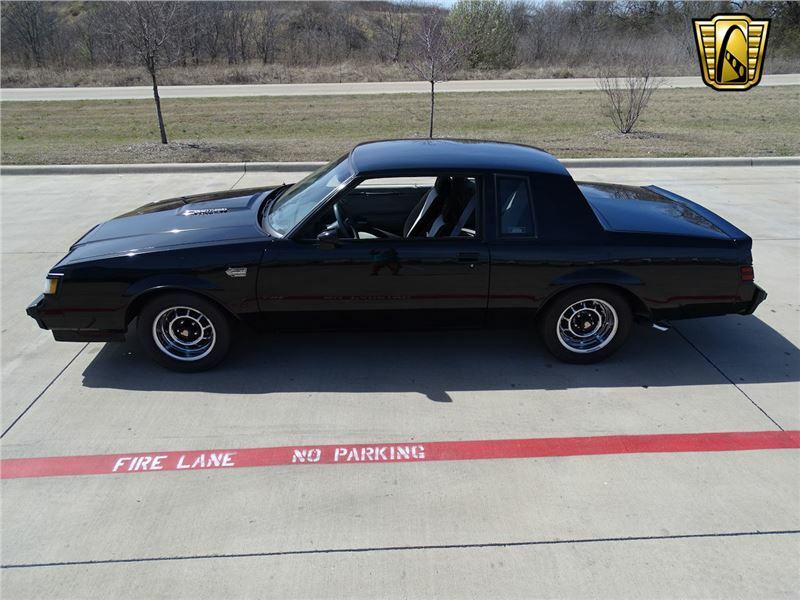 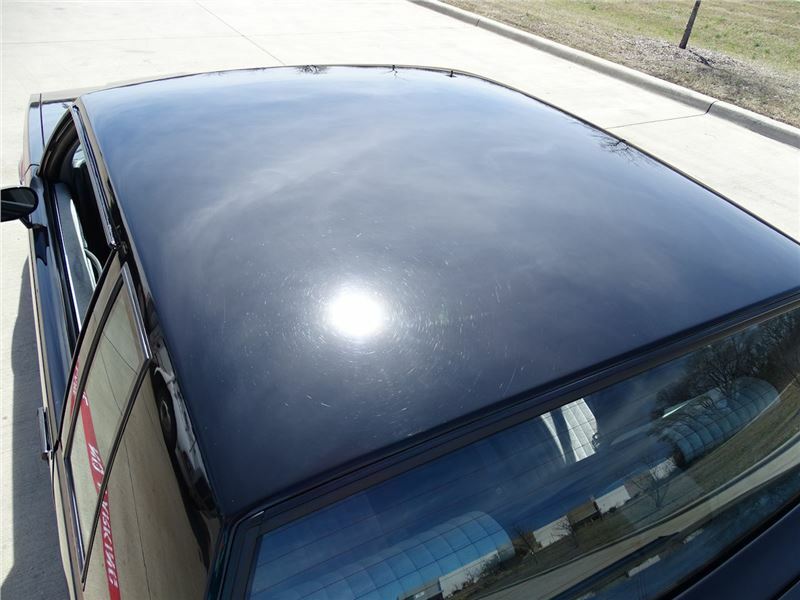 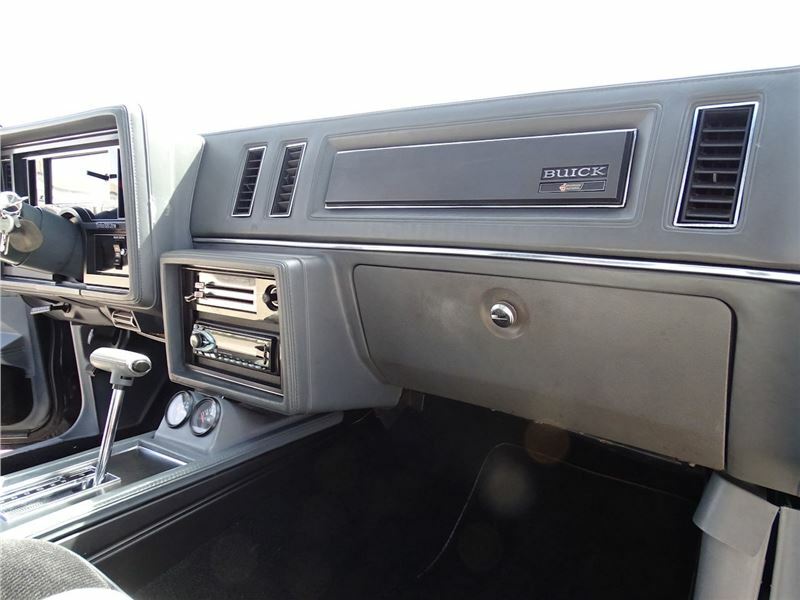 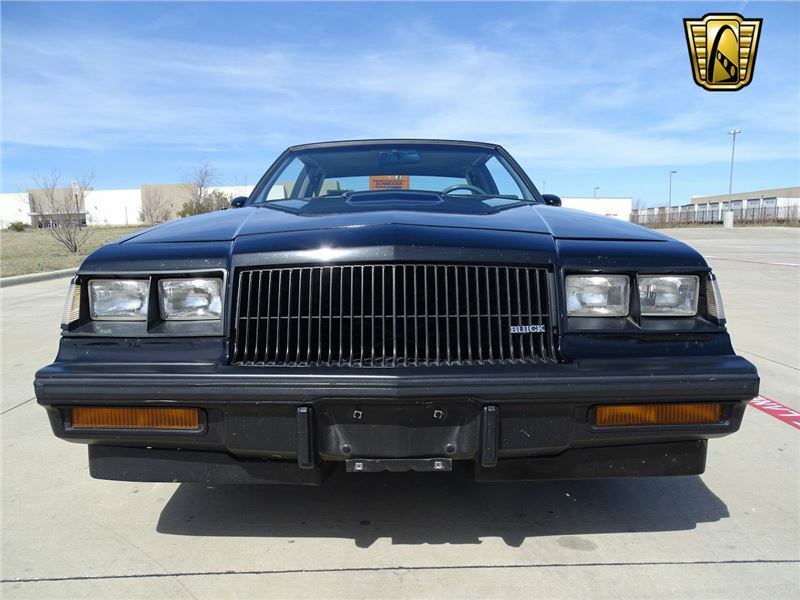 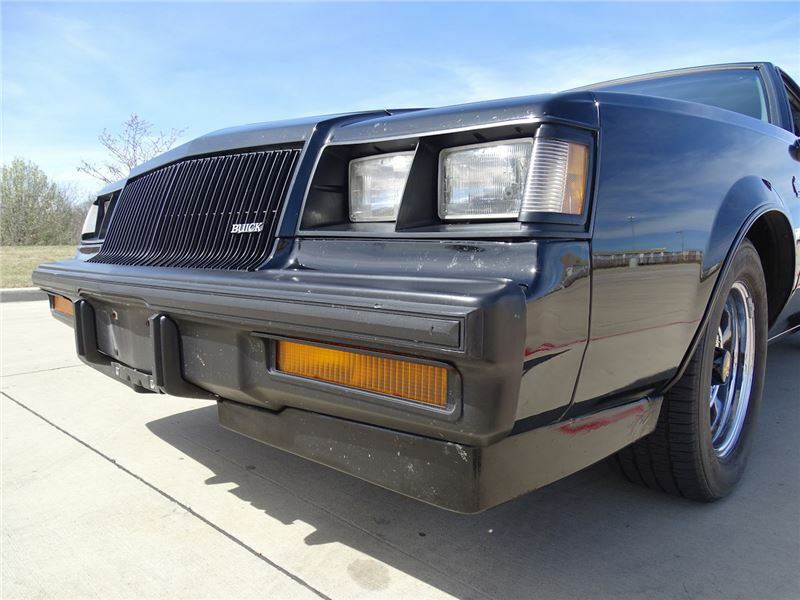 For sale in our Dallas Fort Worth showroom is a super cool 1987 Buick Grand National. 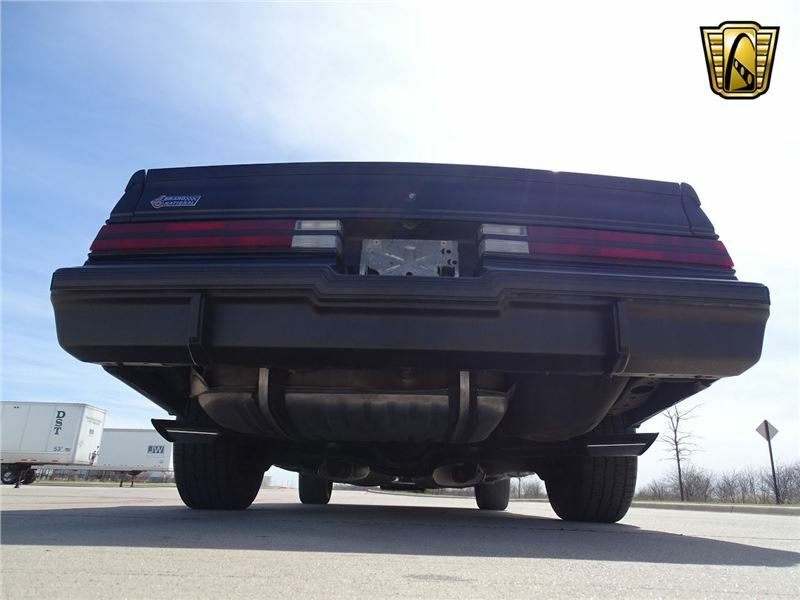 By the late 1980s, the muscle car era was done. 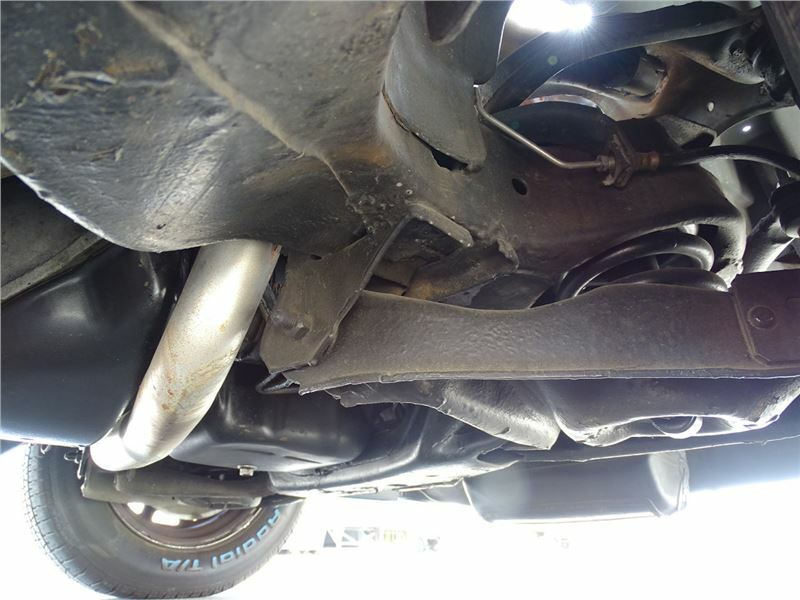 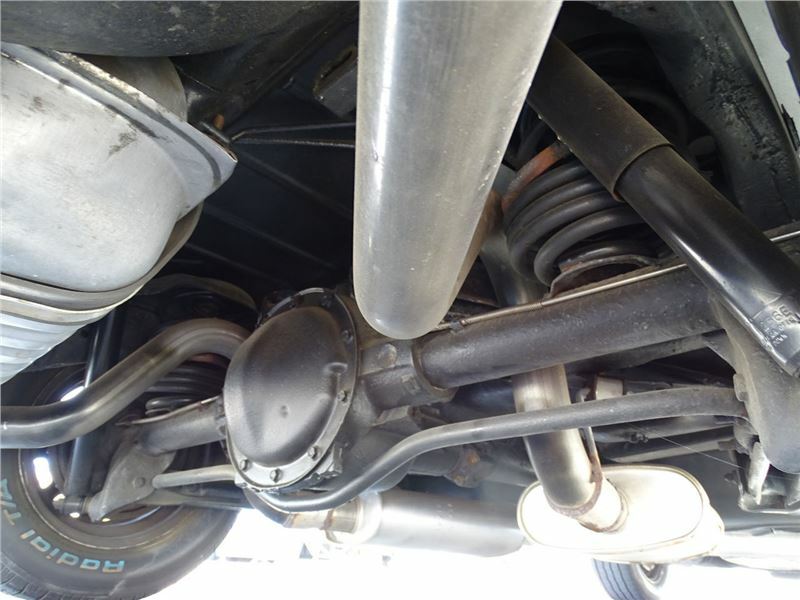 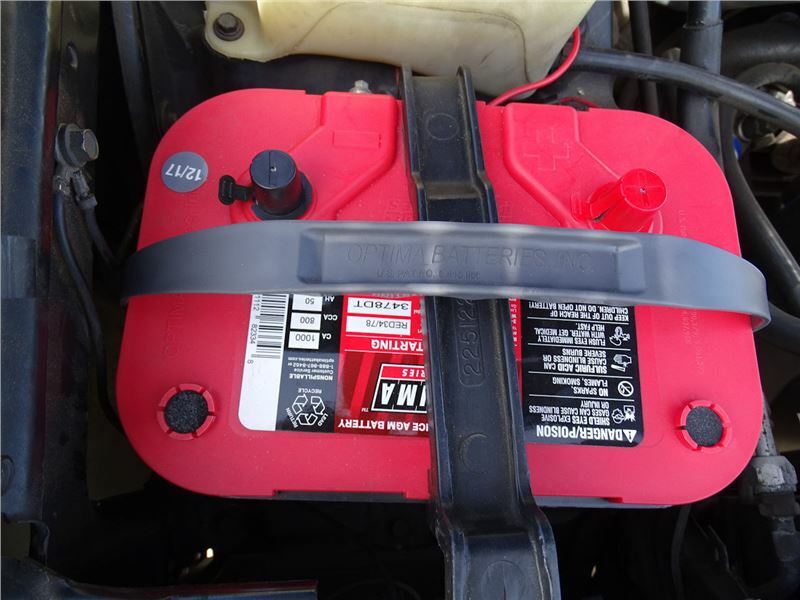 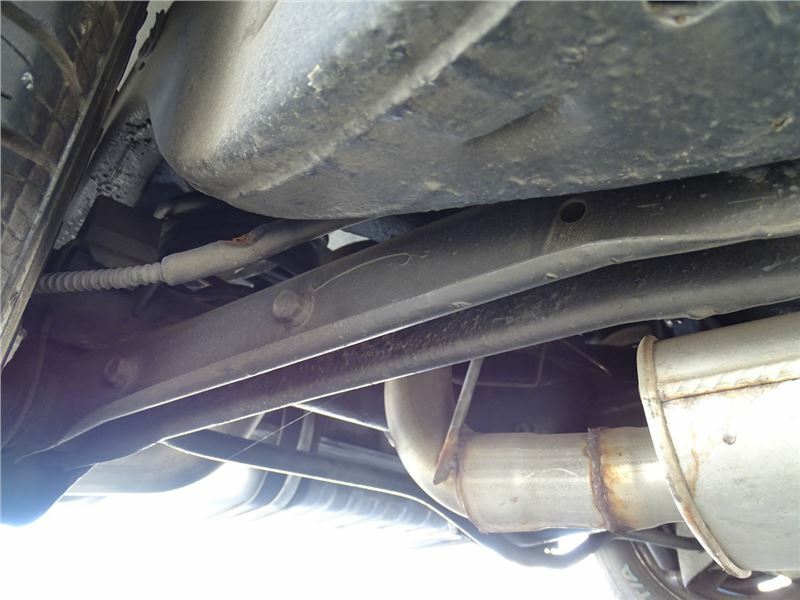 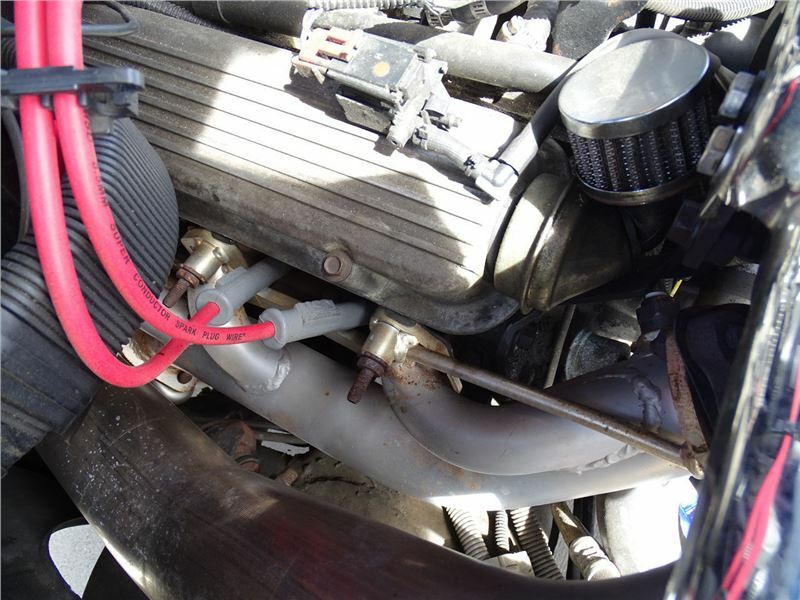 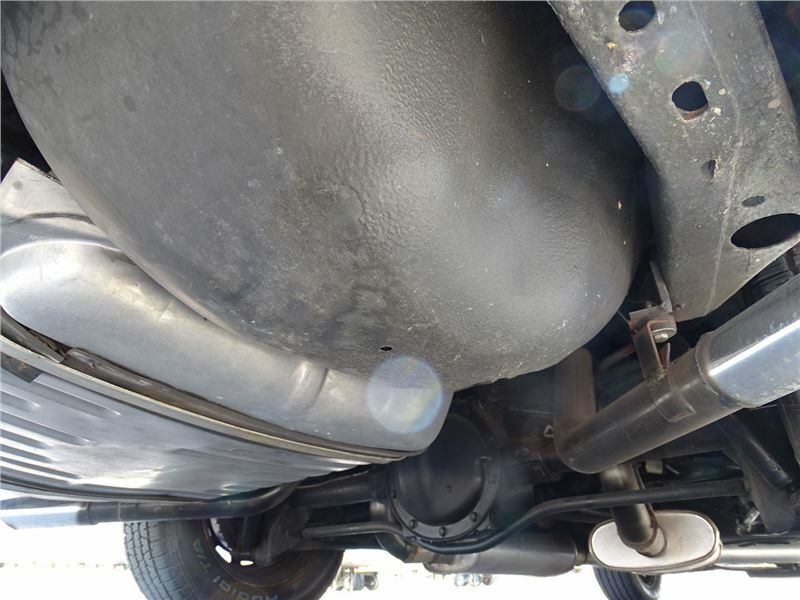 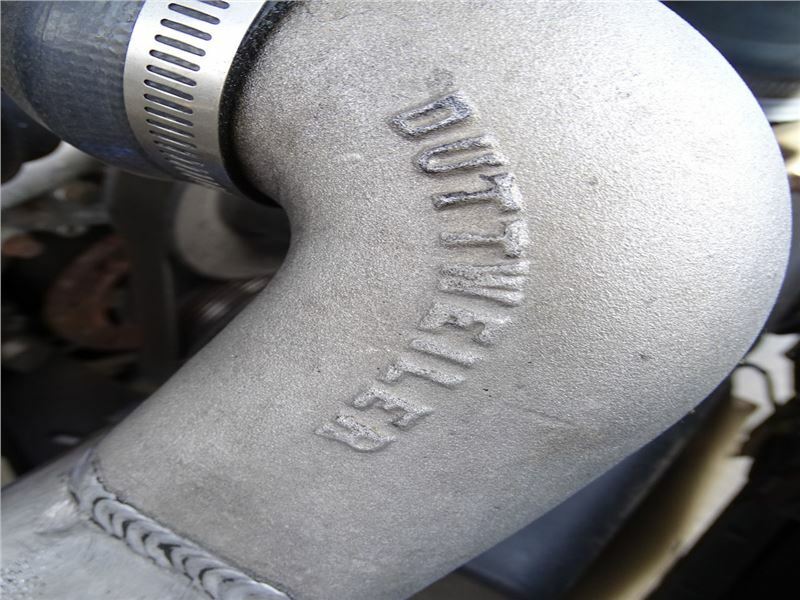 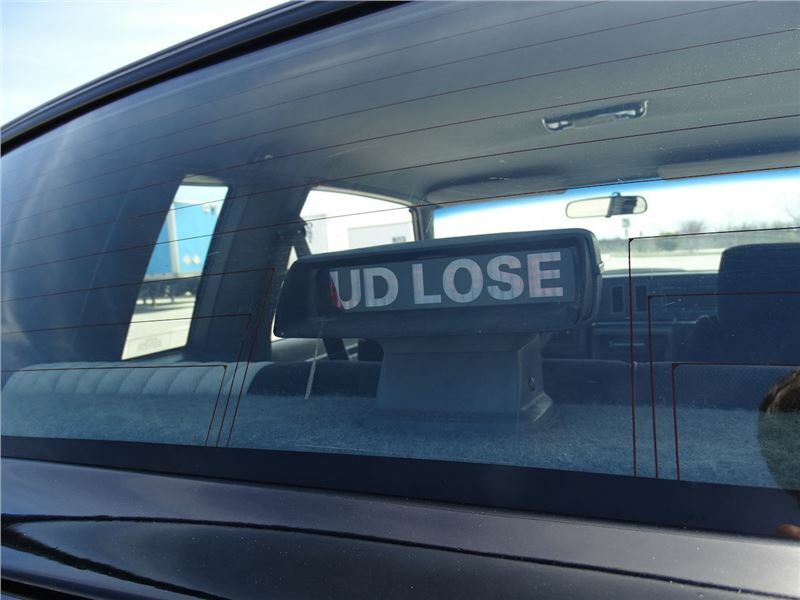 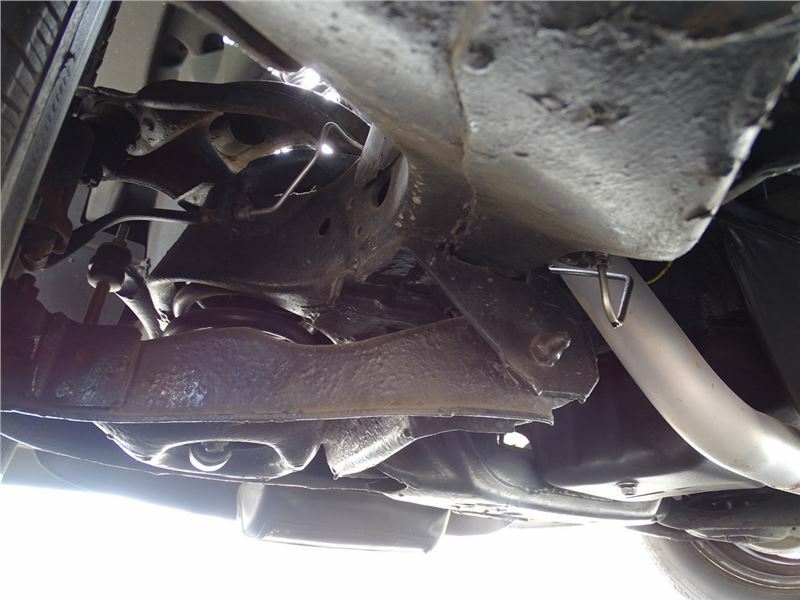 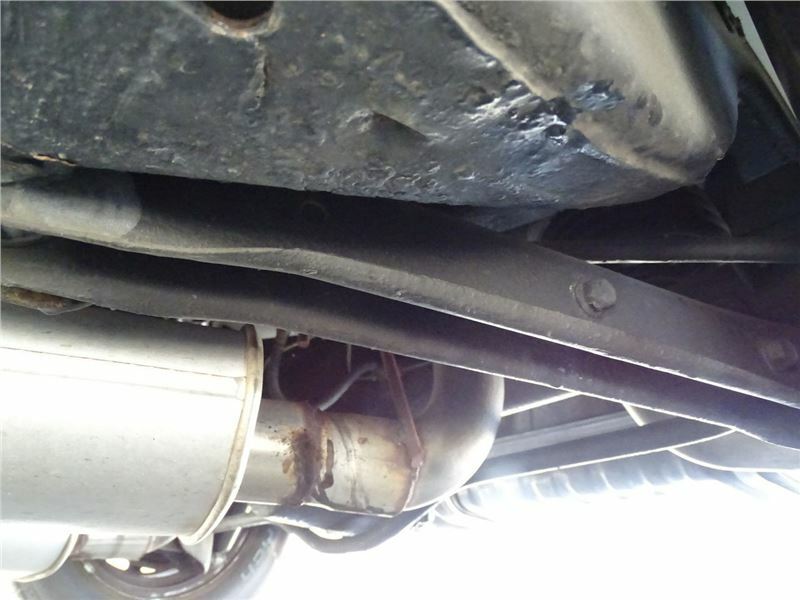 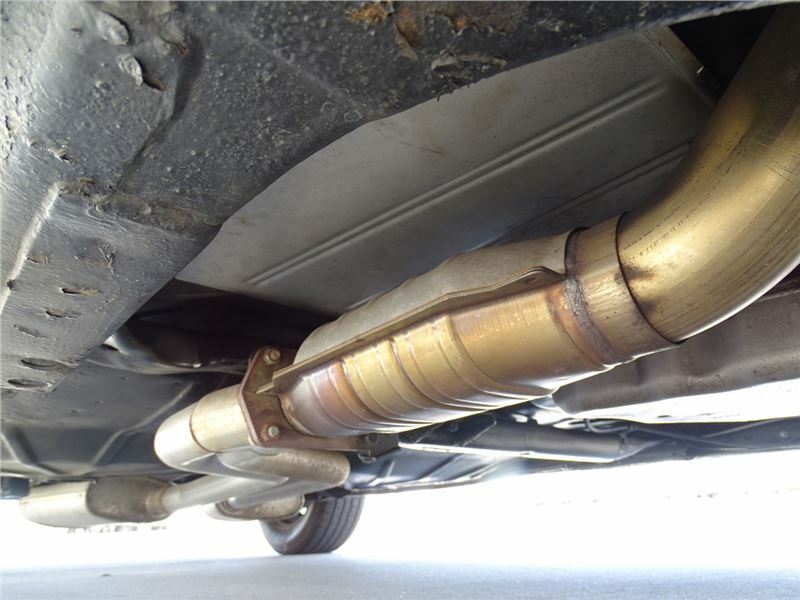 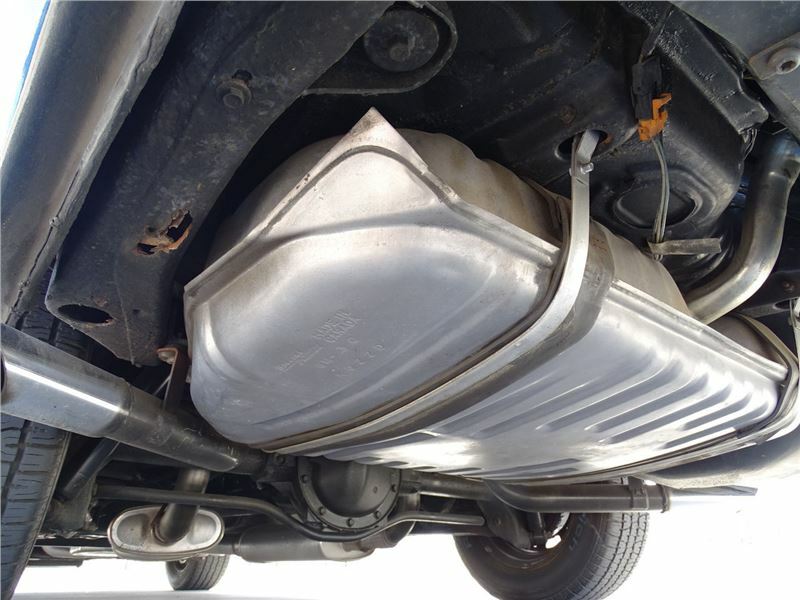 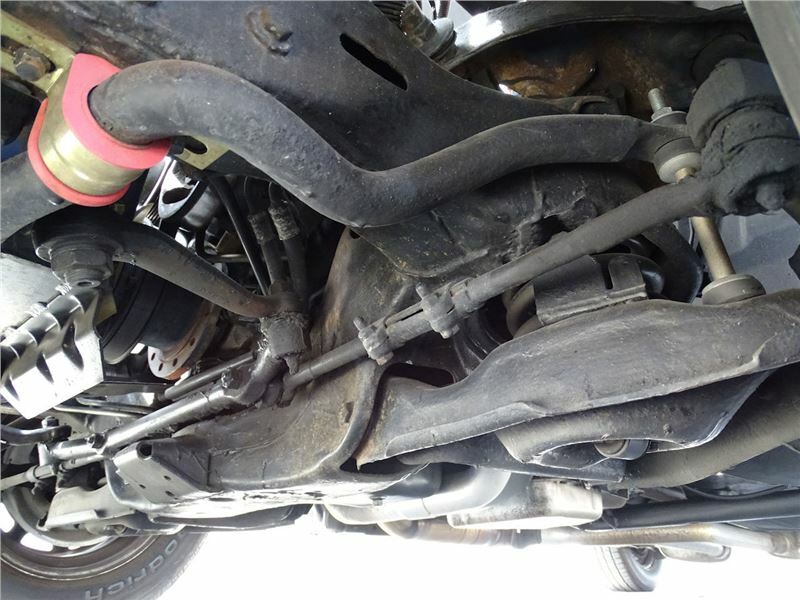 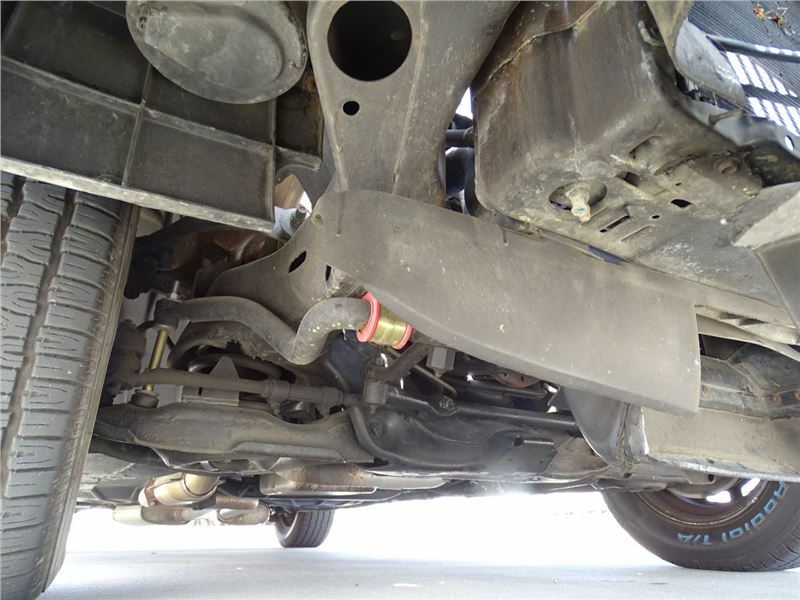 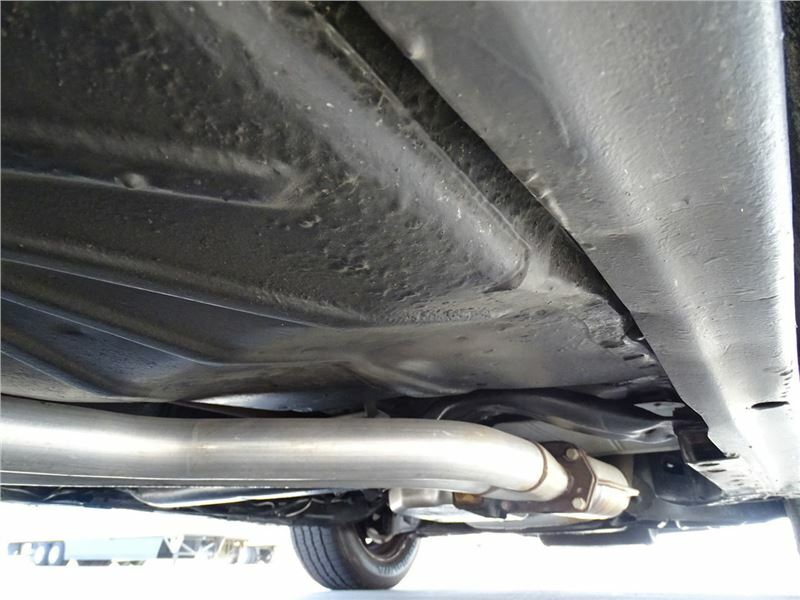 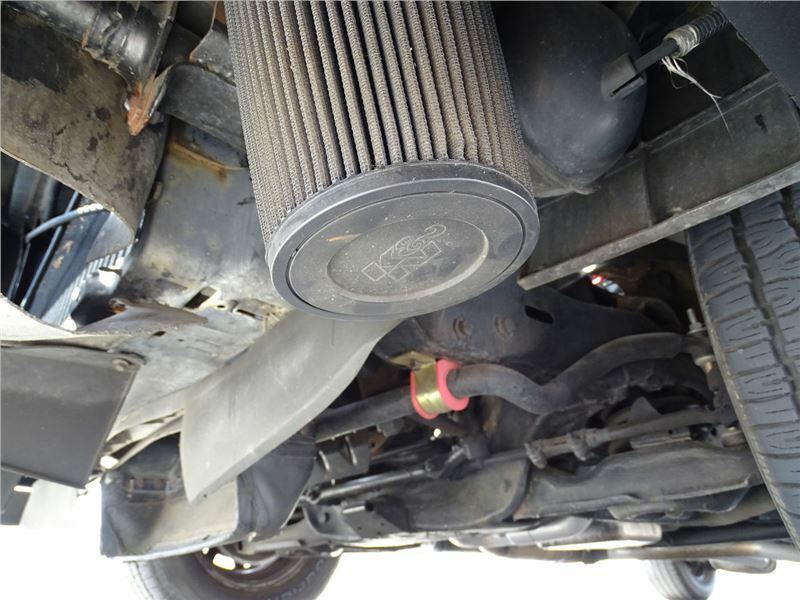 The gas crisis caused the end of high horsepower V8s and the few domestic muscle cars that remained were so strangled with emissions equipment, that the horsepower ratings were embarrassing. 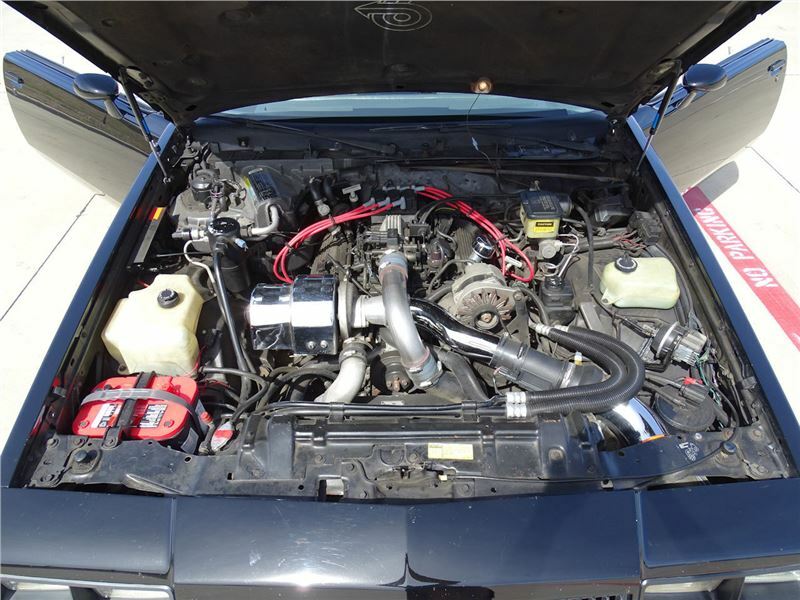 Even the Corvettes of the late 1980s barely squeaked over 200 horsepower. 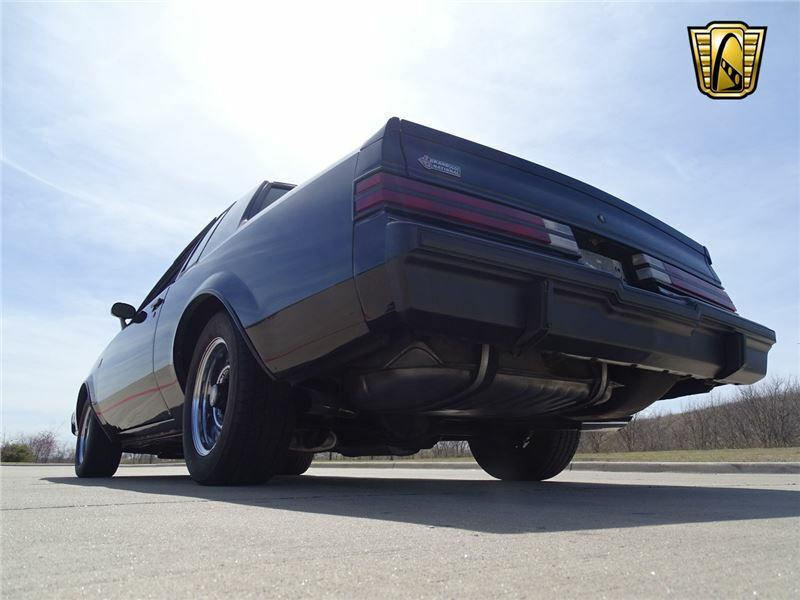 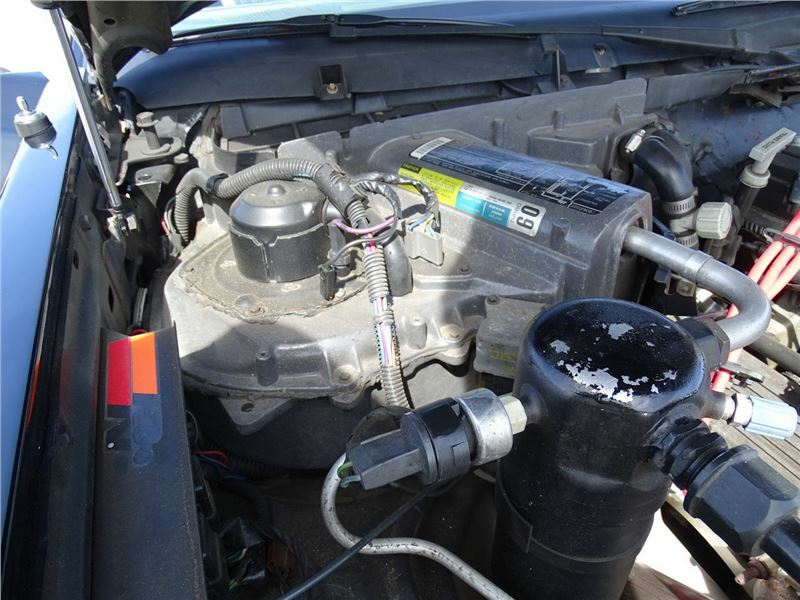 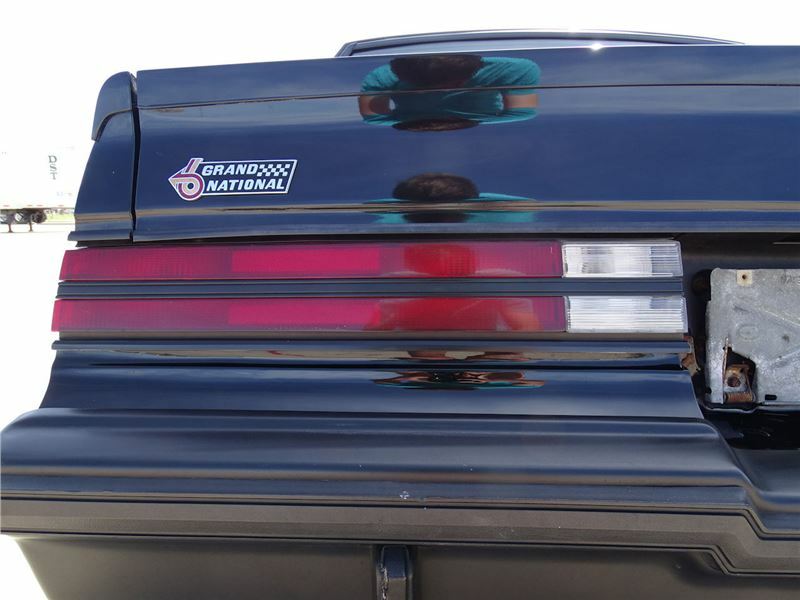 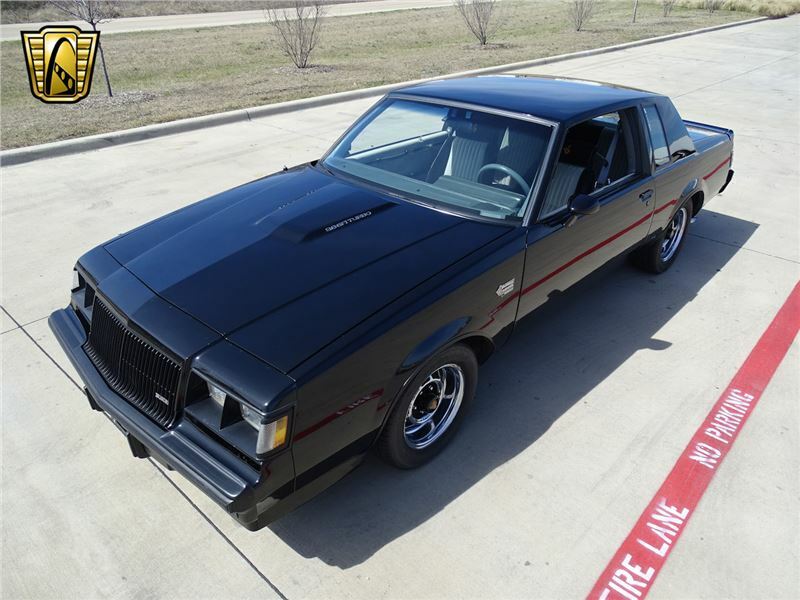 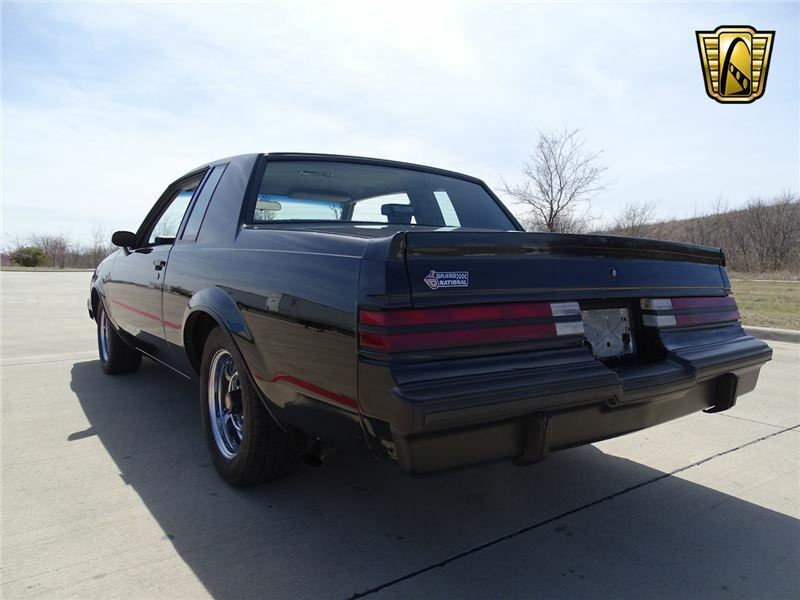 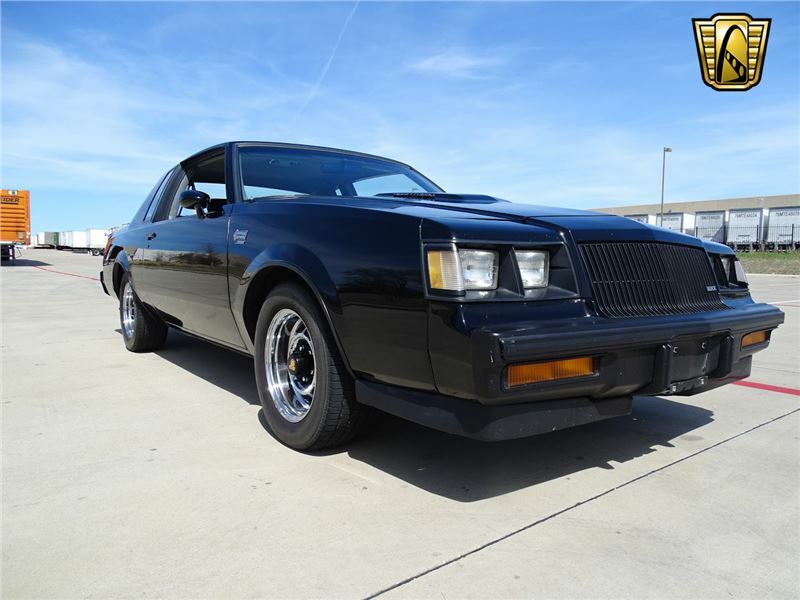 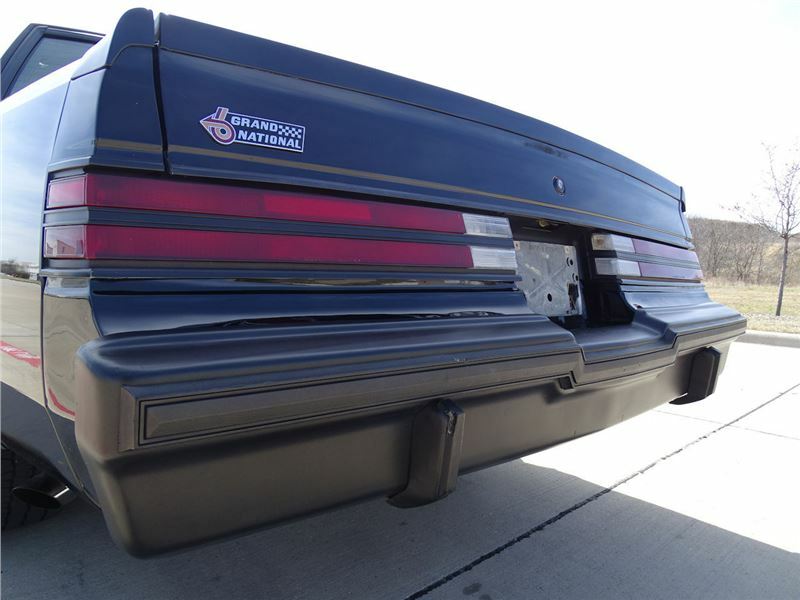 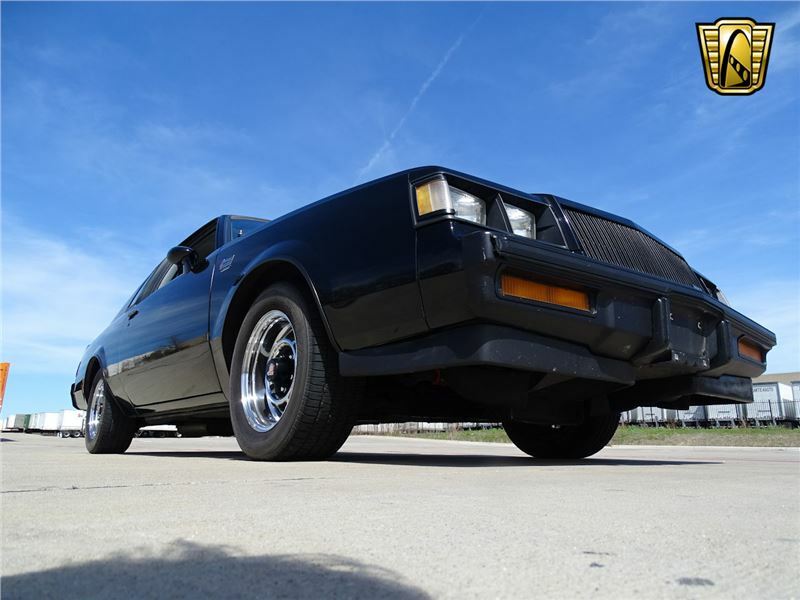 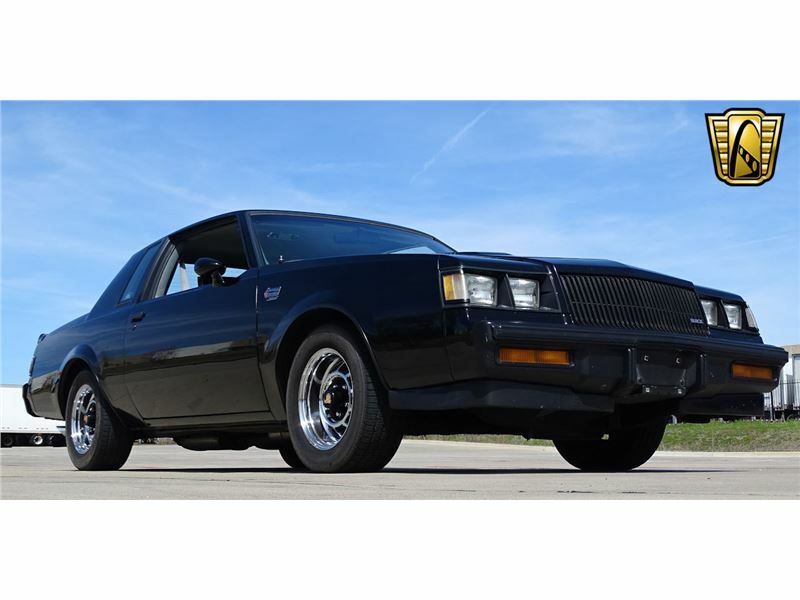 GM made a step in the right direction with their revolutionary Turbocharged V6 Grand National. 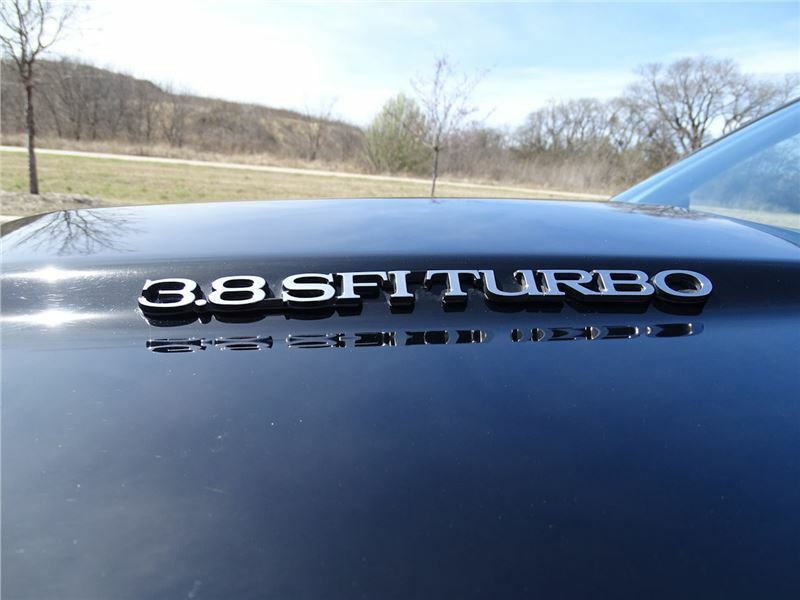 This 3.8 Liter gem, with the help of its turbocharger churns out 245 horsepower and a massive 355 lb ft of torque. 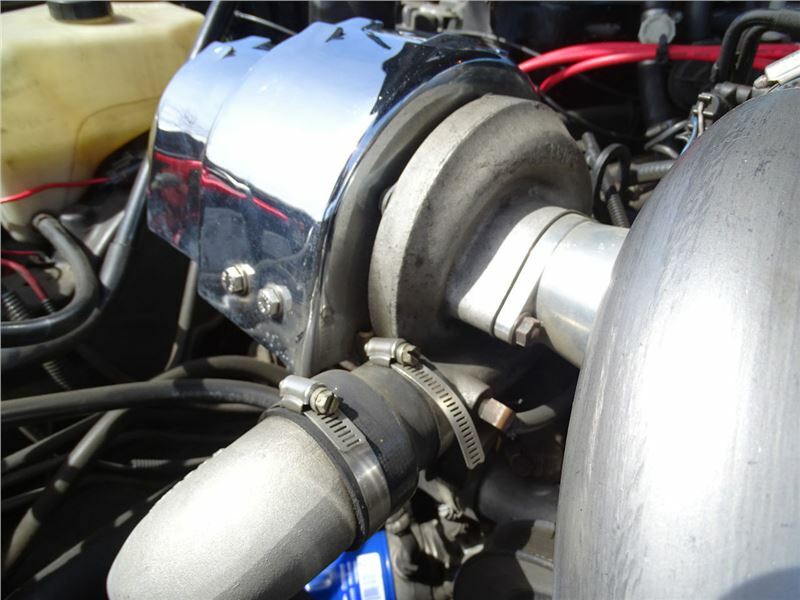 This torque monster could rocket the 3500 pound GN to 60 miles per hour in less than 6 seconds and on to finish a 1/4 mile in about 14 seconds. 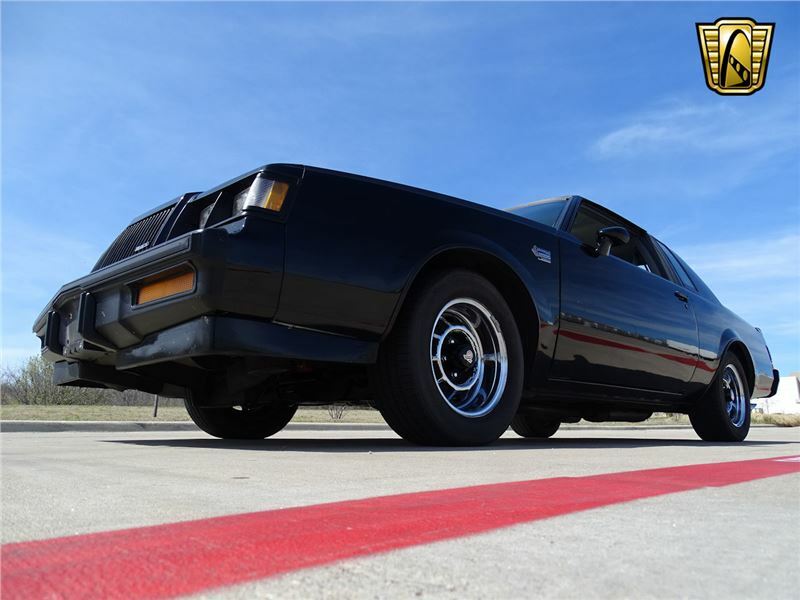 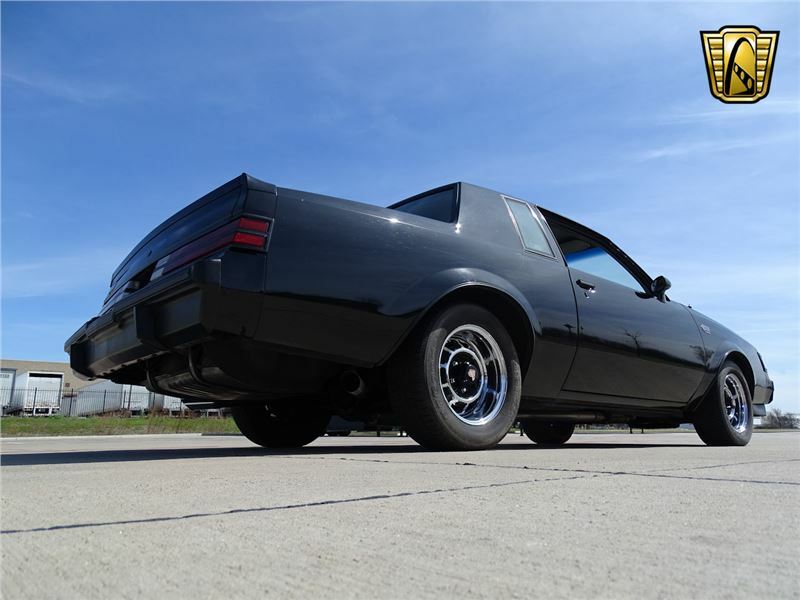 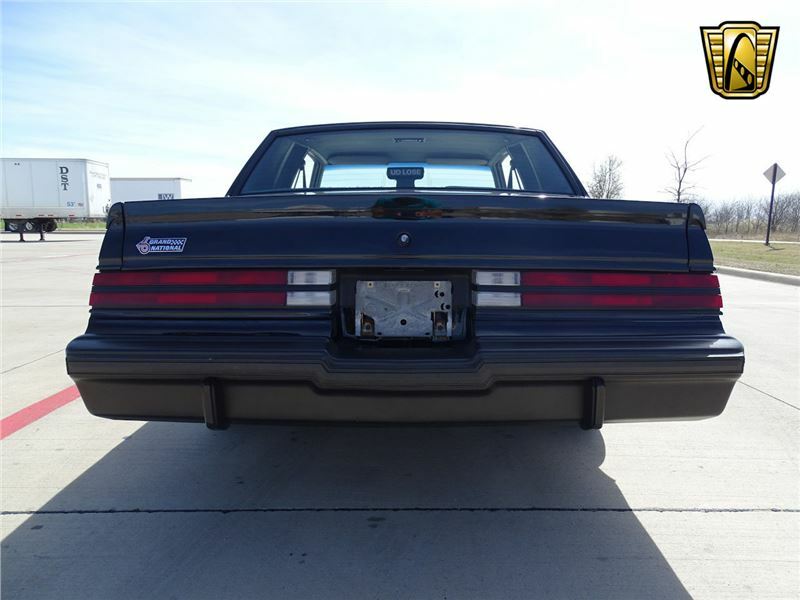 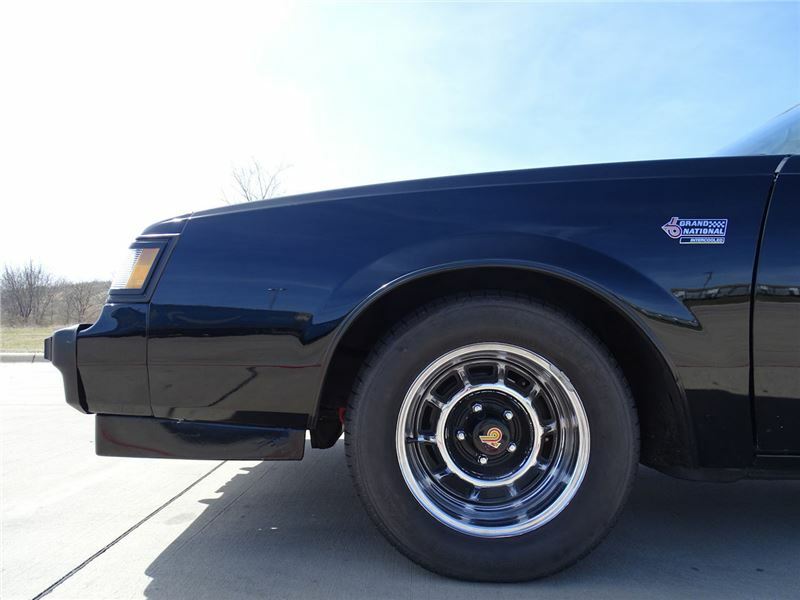 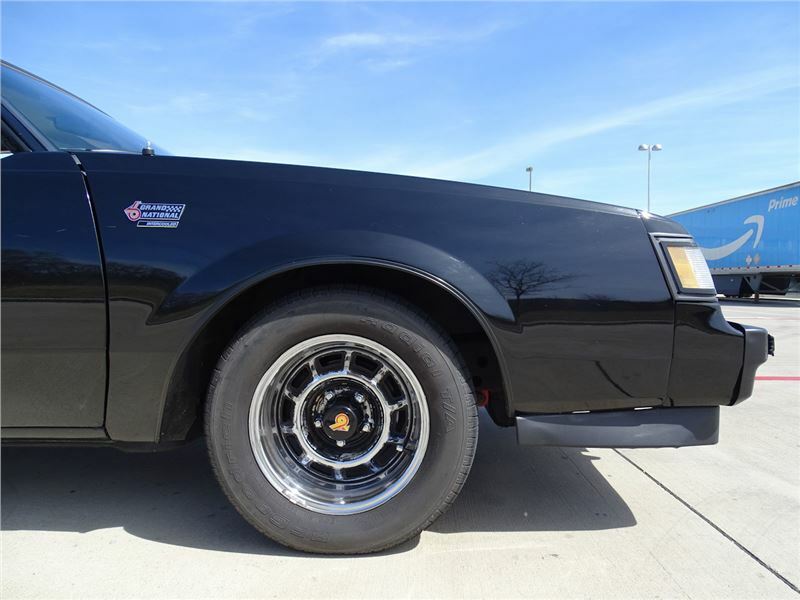 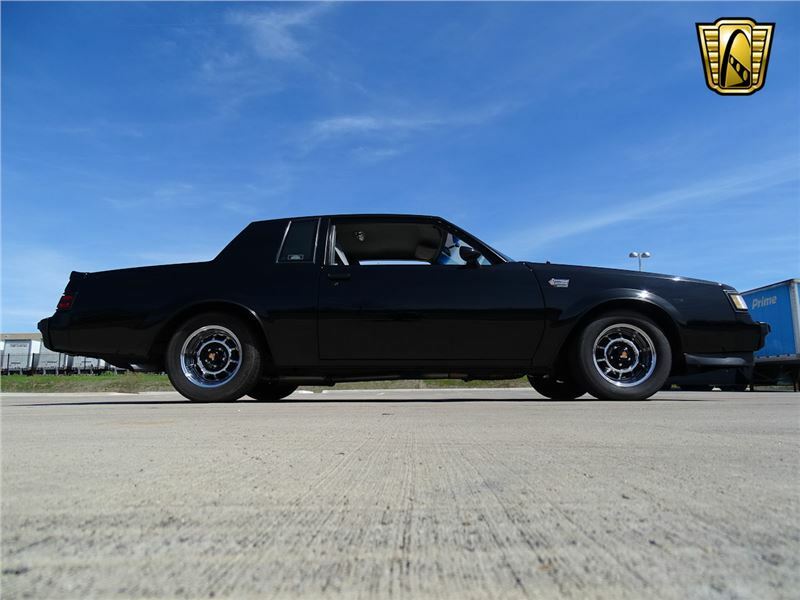 Finished in a sinister gloss black exterior paint, and with gray and black two tone interior, the Grand National is a sharp looking beast as well. 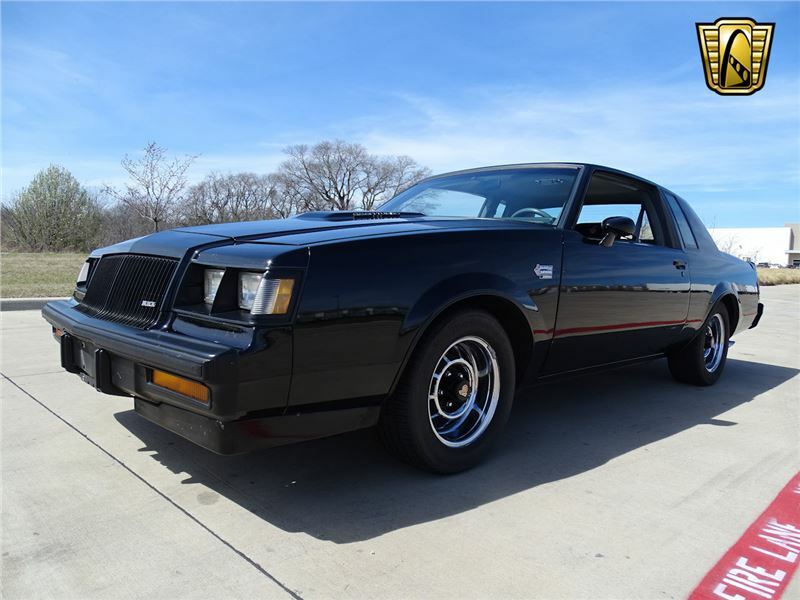 This one is showing less than 85,000 miles on the odometer and looks great. 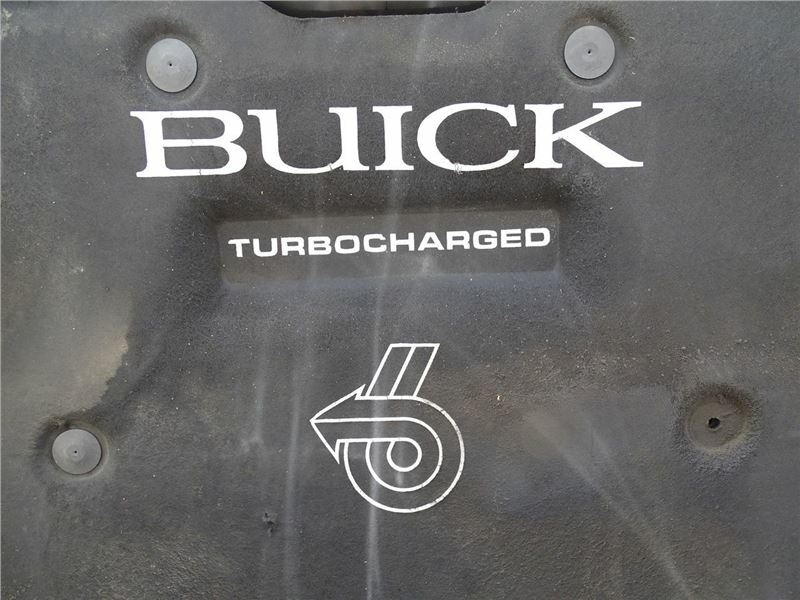 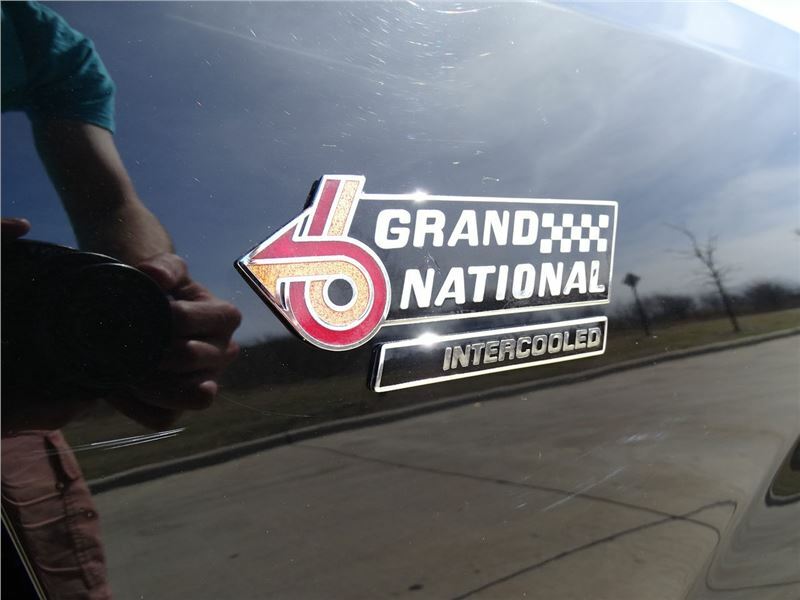 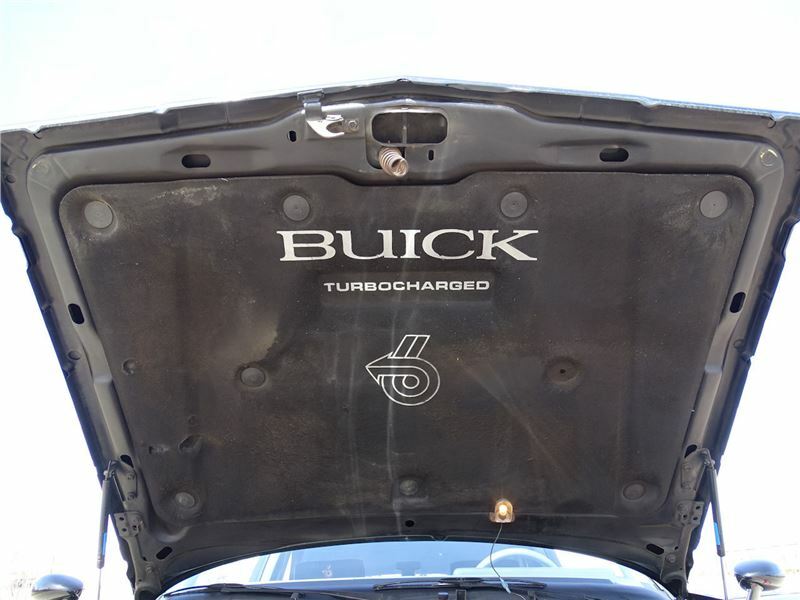 Whether youre a Buick fan, a muscle car historian, or simply a fan of performance cars, a Grand Nation makes a great addition to any collection. 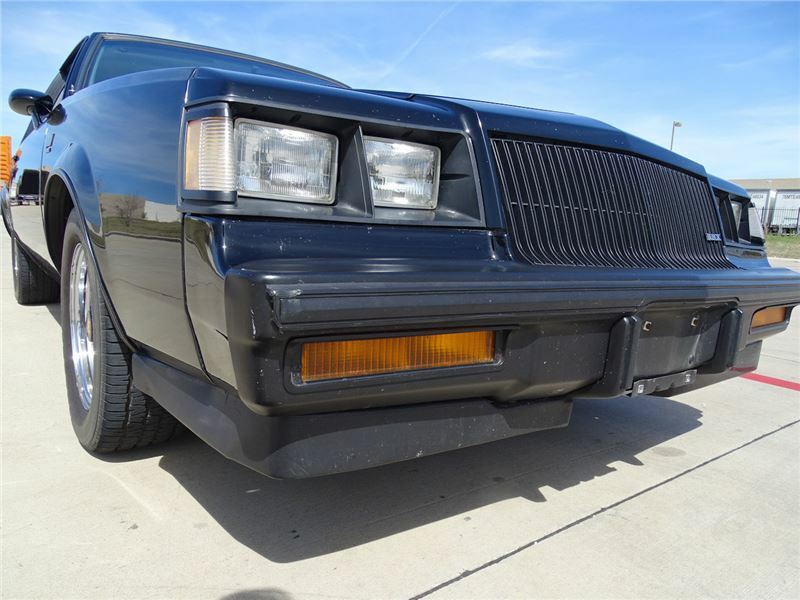 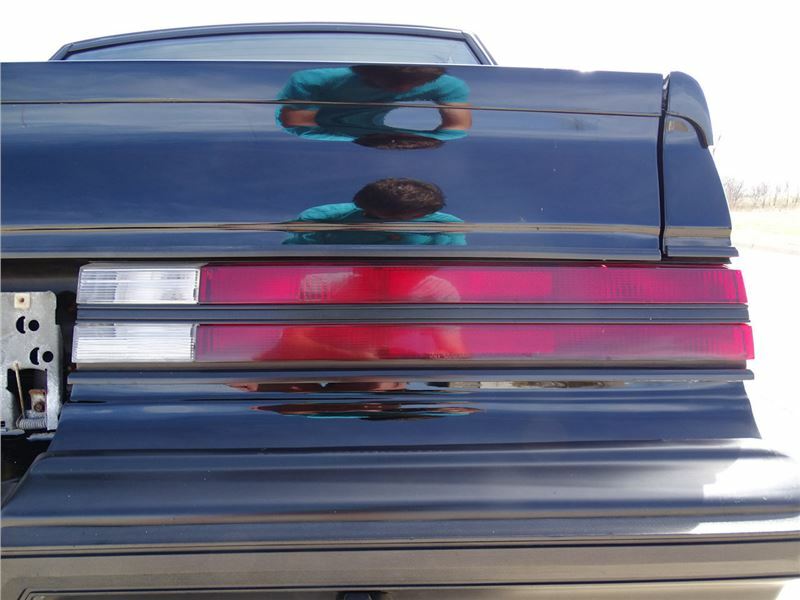 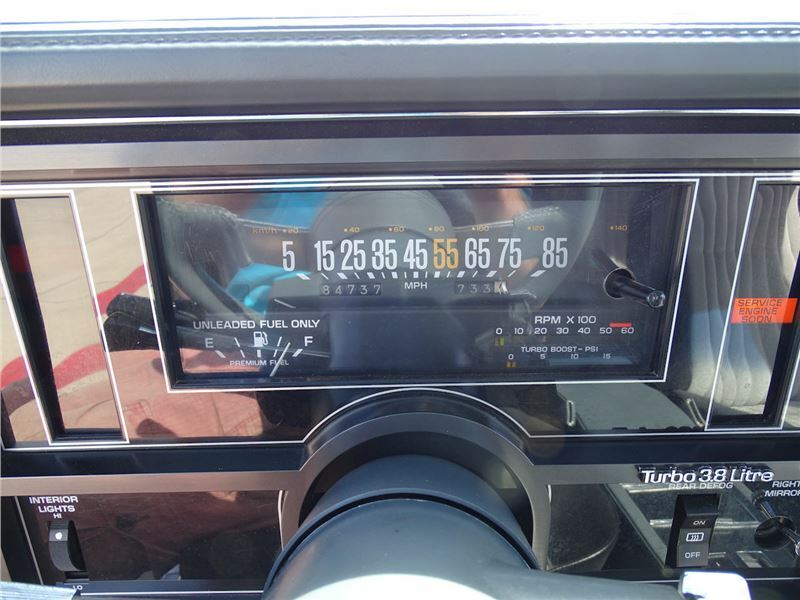 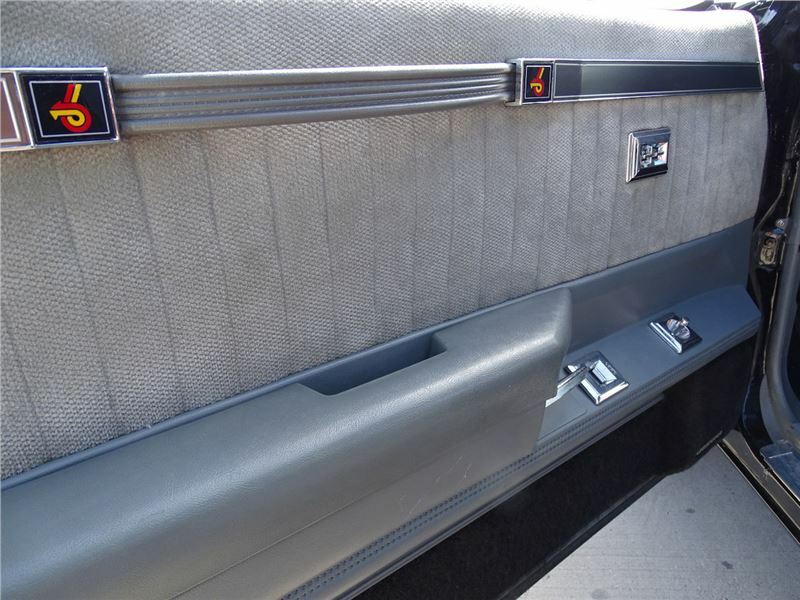 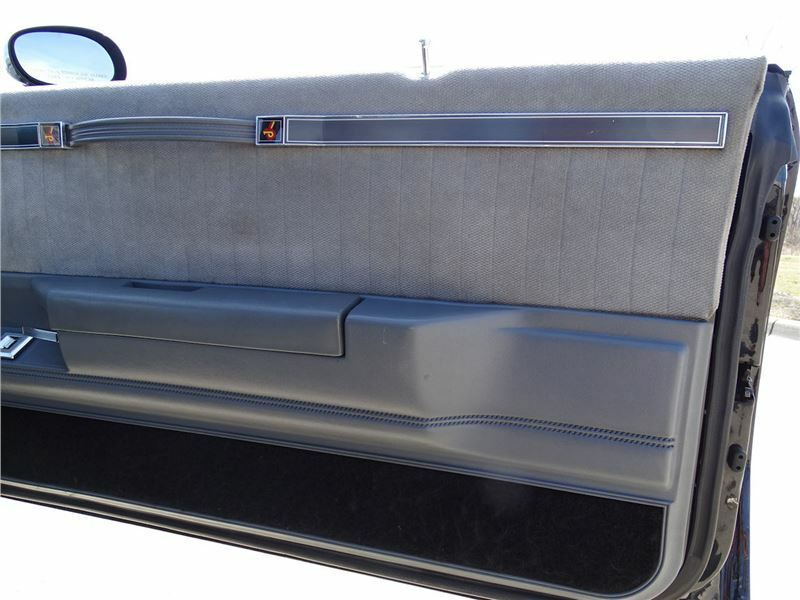 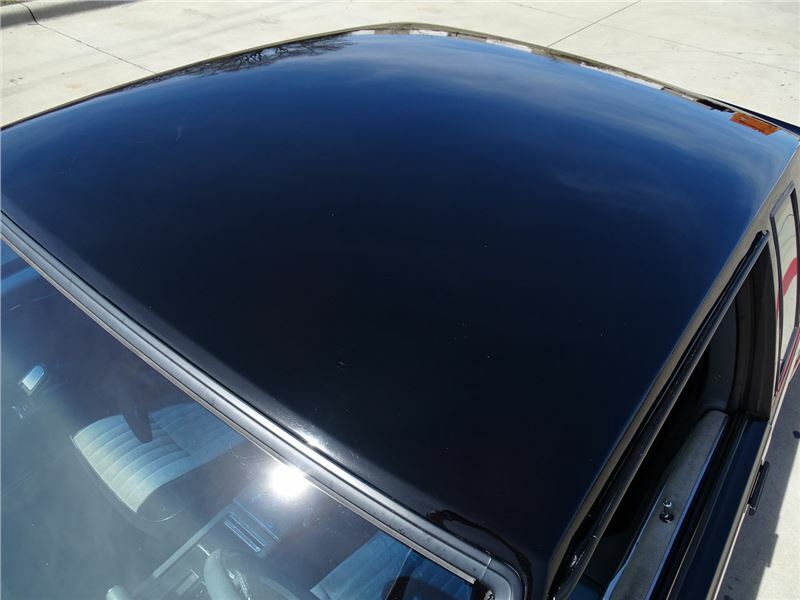 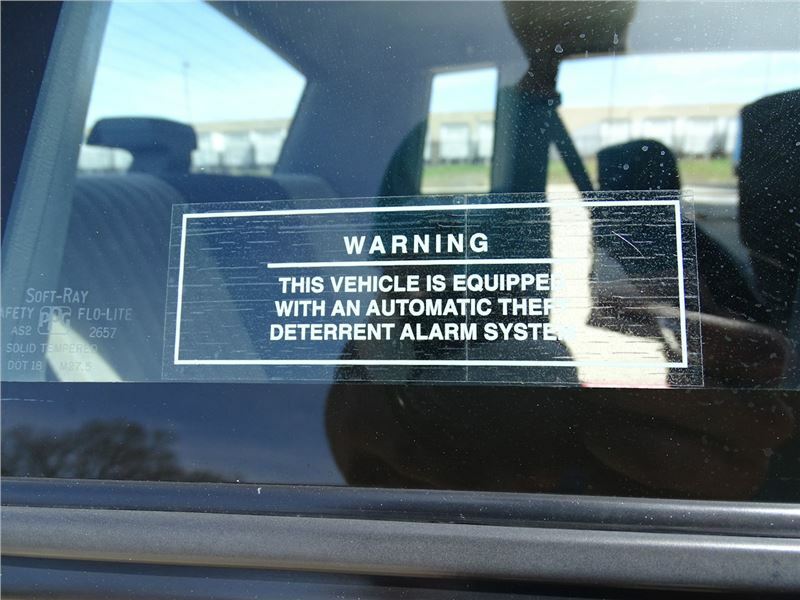 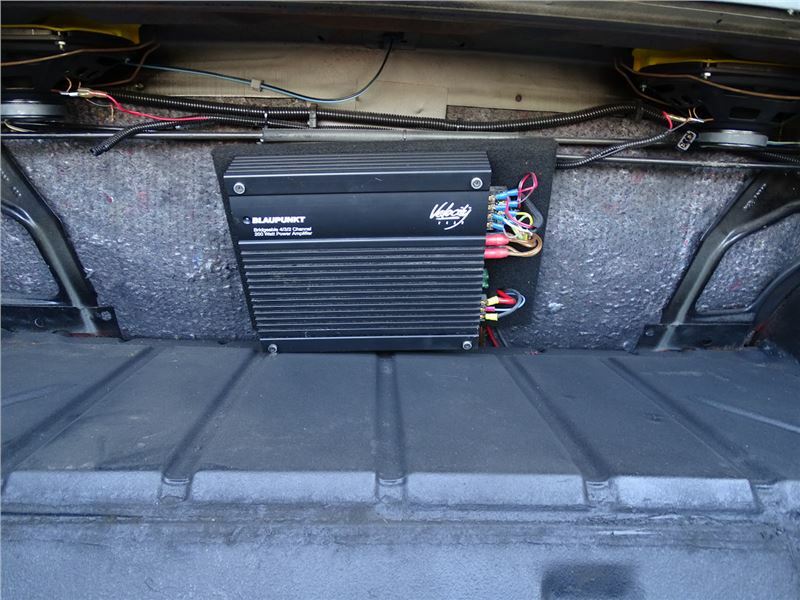 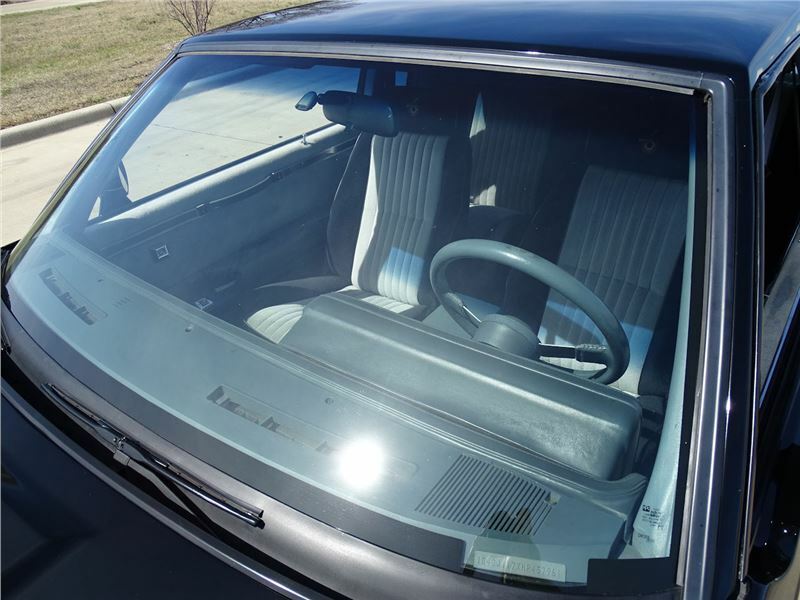 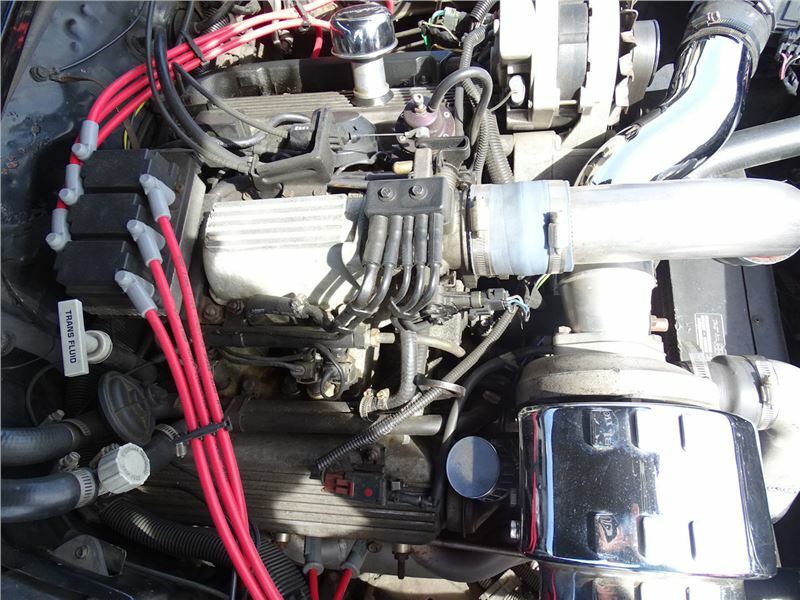 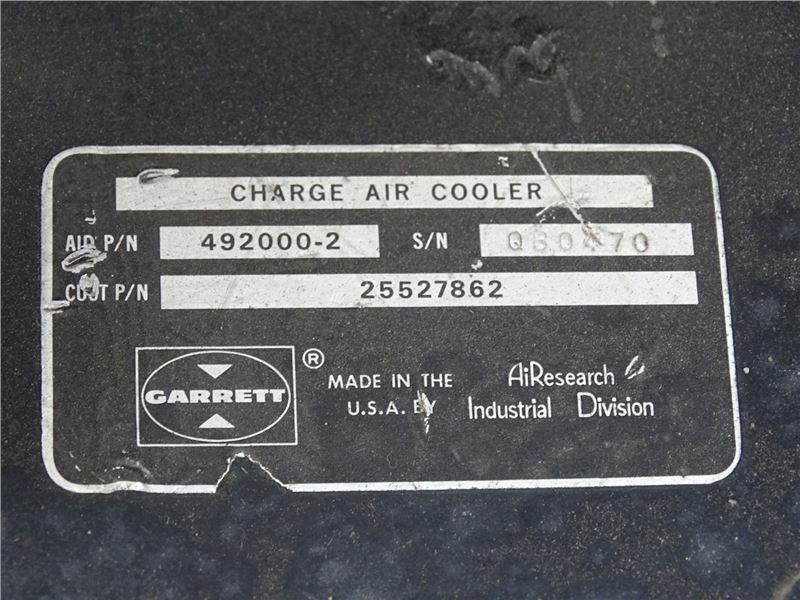 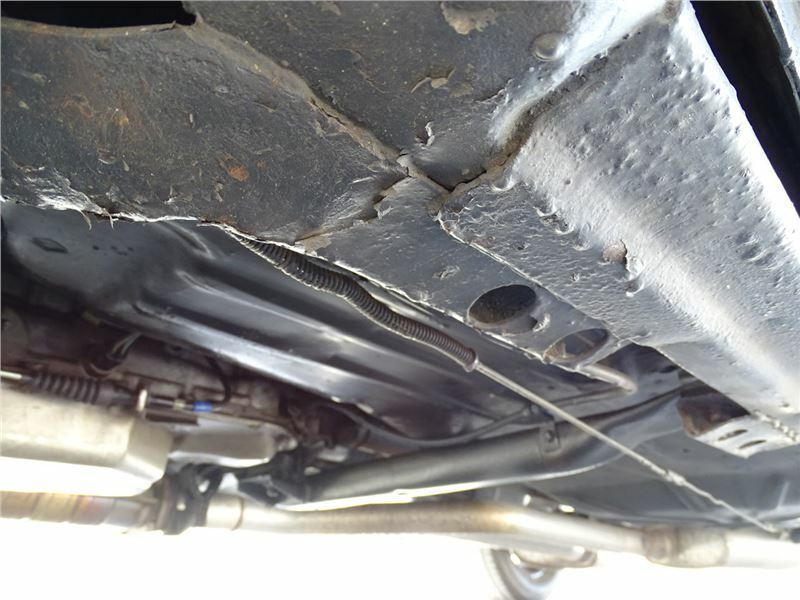 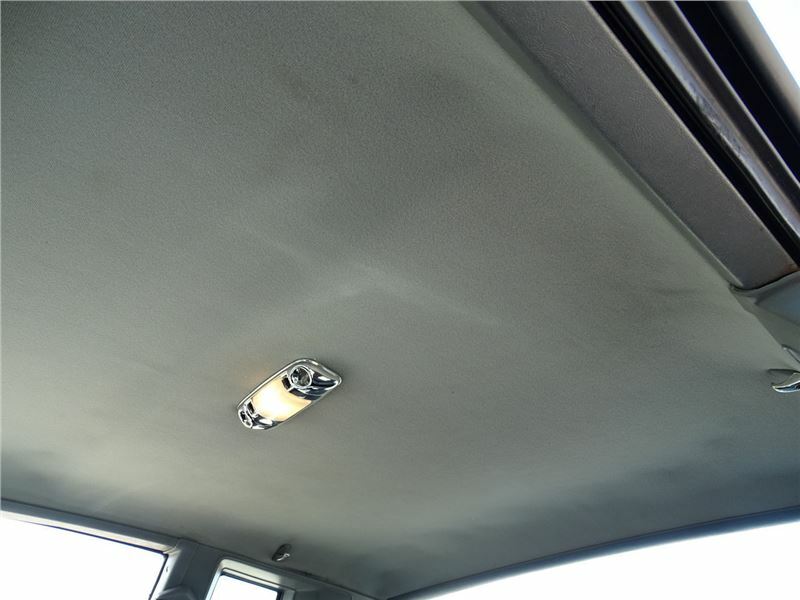 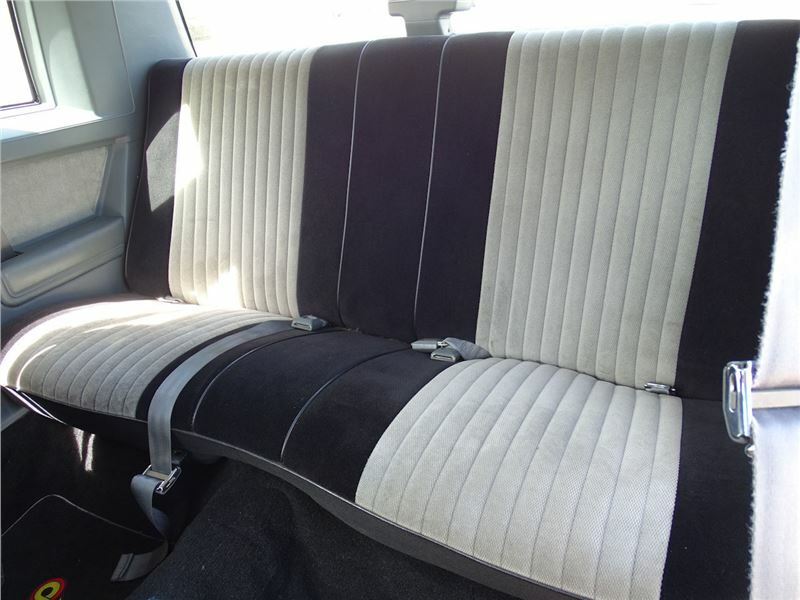 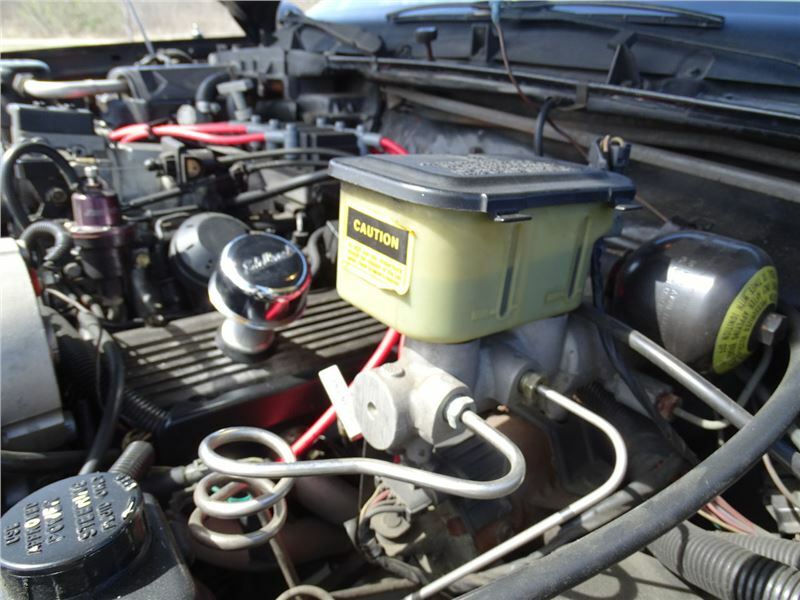 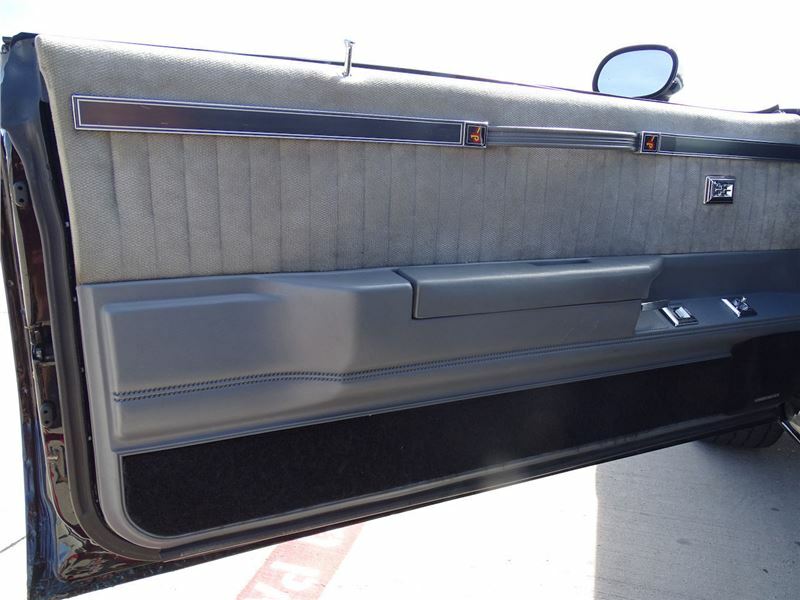 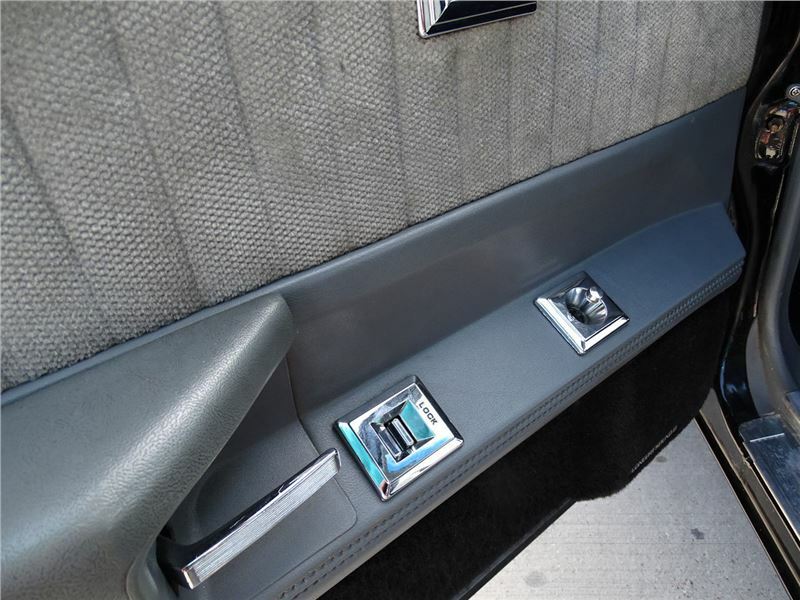 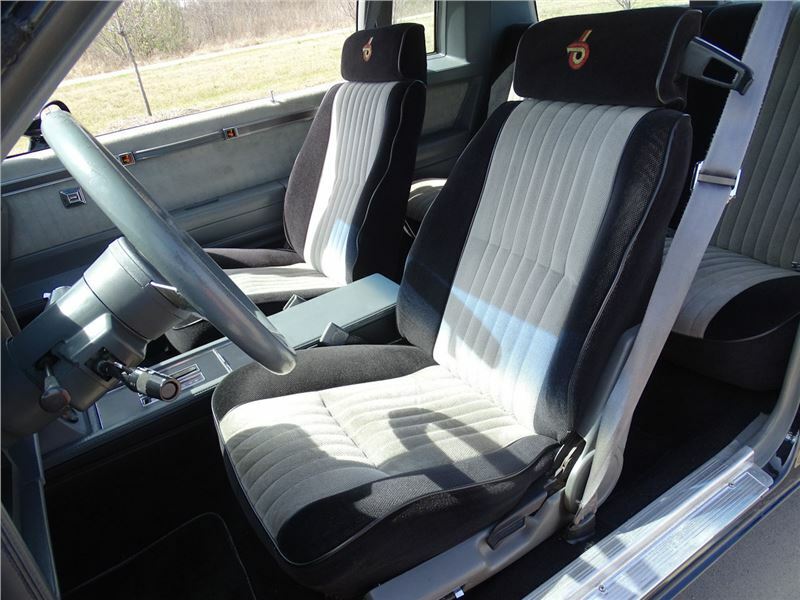 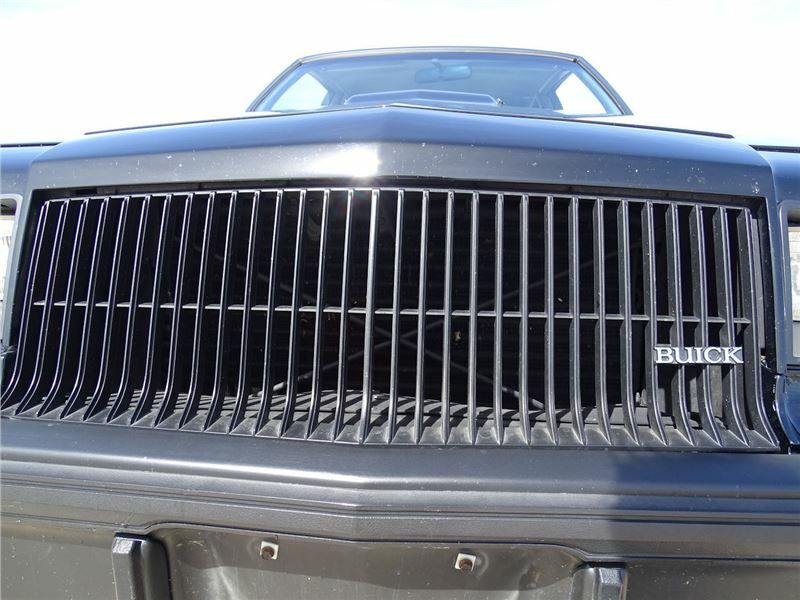 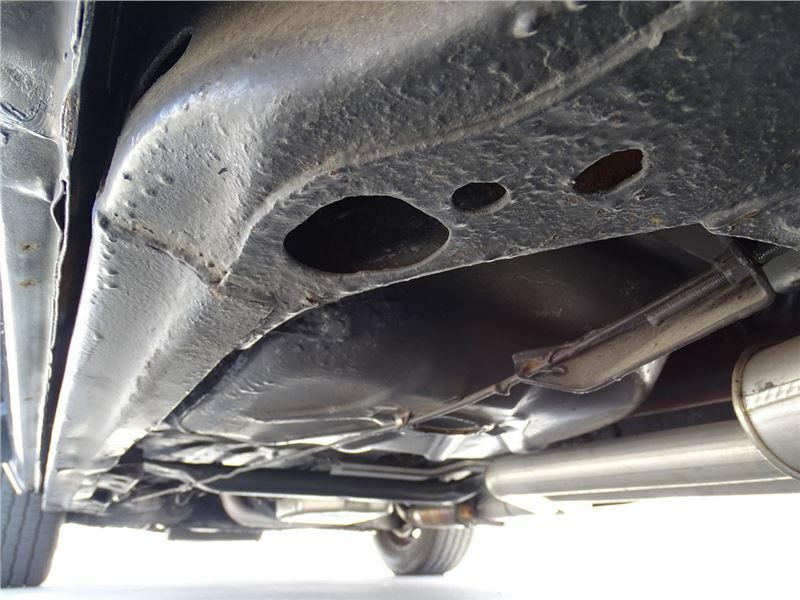 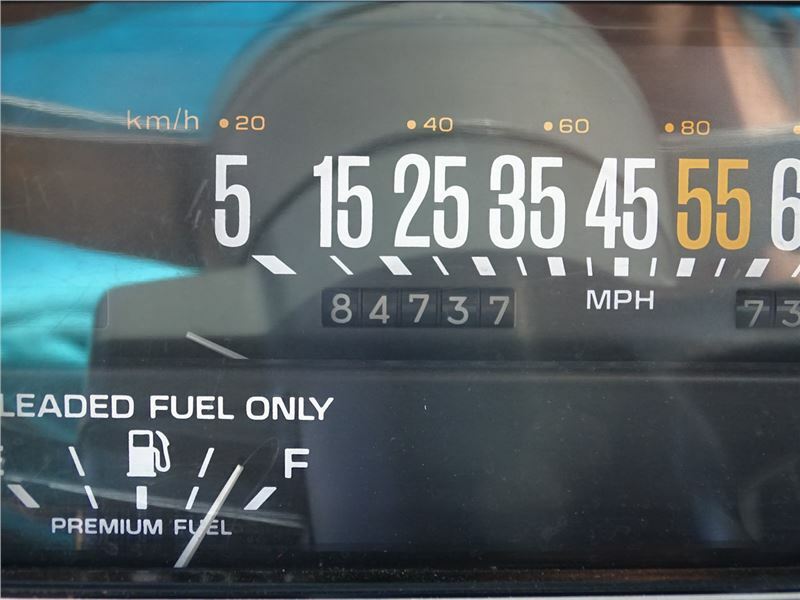 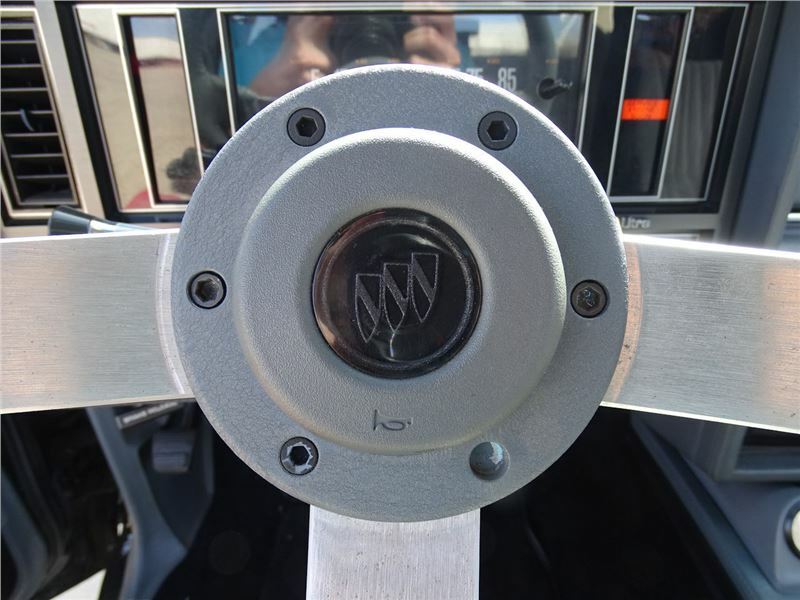 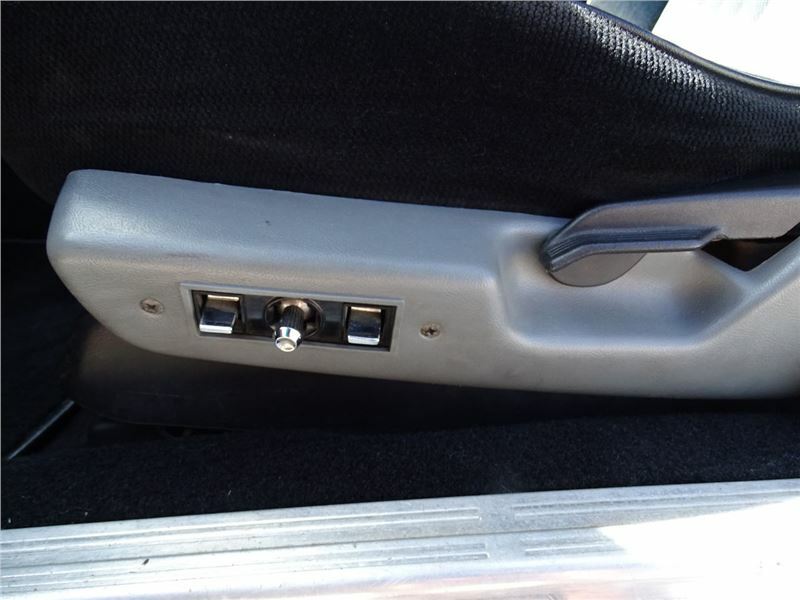 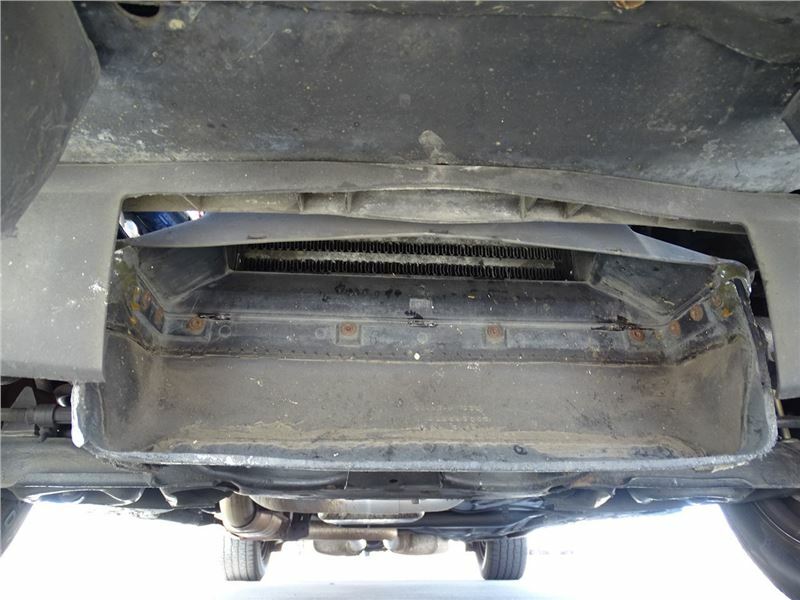 To view this in 1987 Buick Grand National greater detail, including 100+ HD photos and HD video, please visit www.gatewayclassiccars.com. 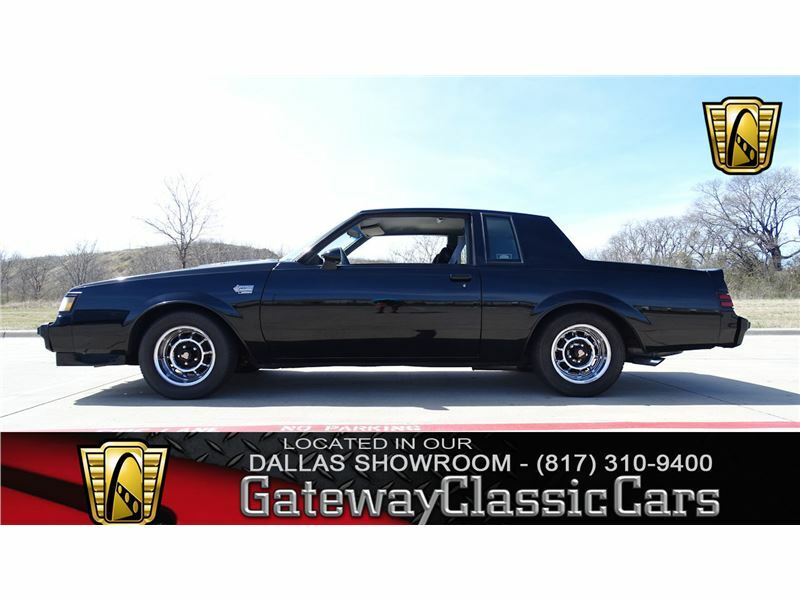 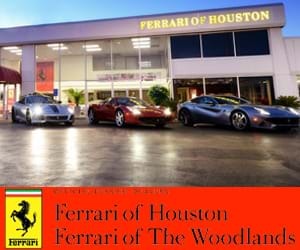 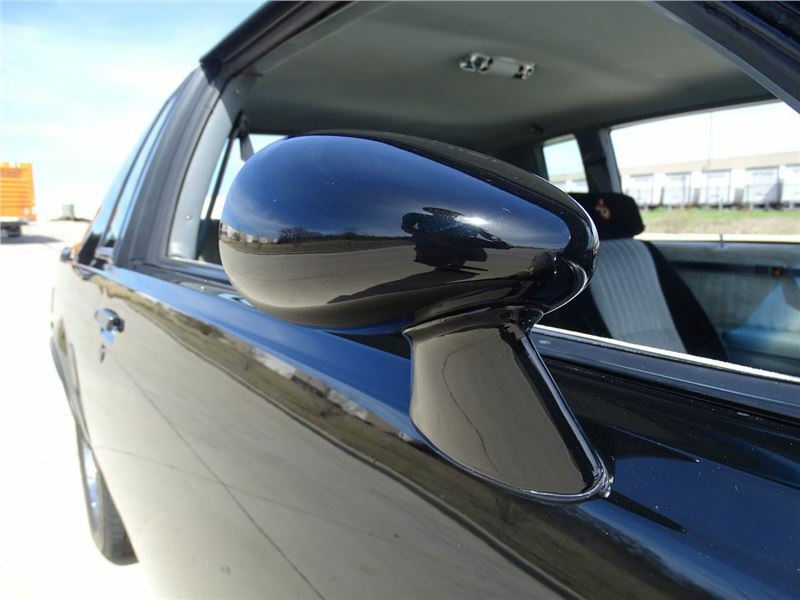 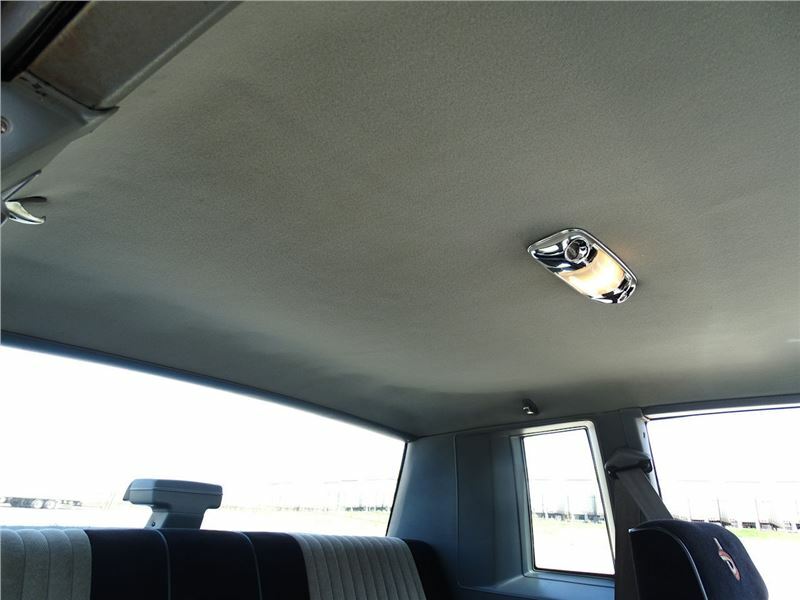 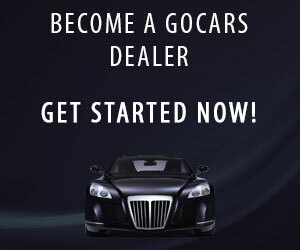 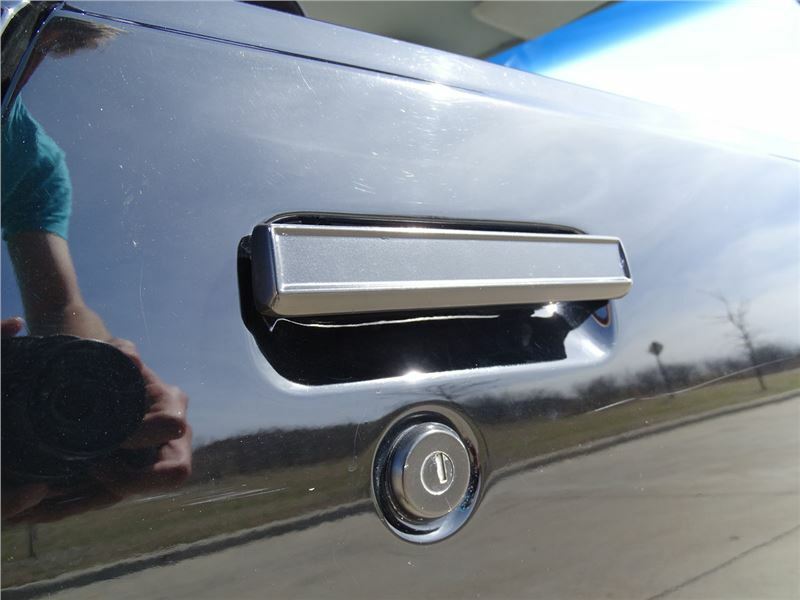 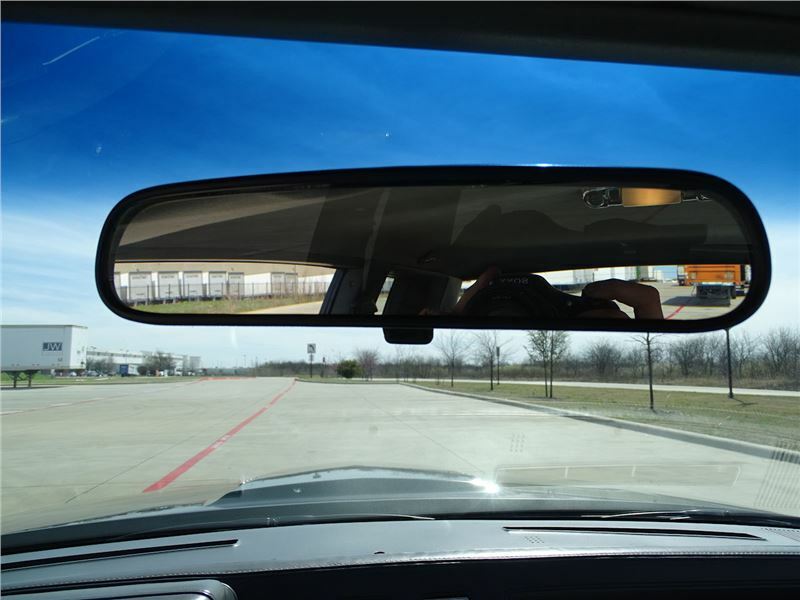 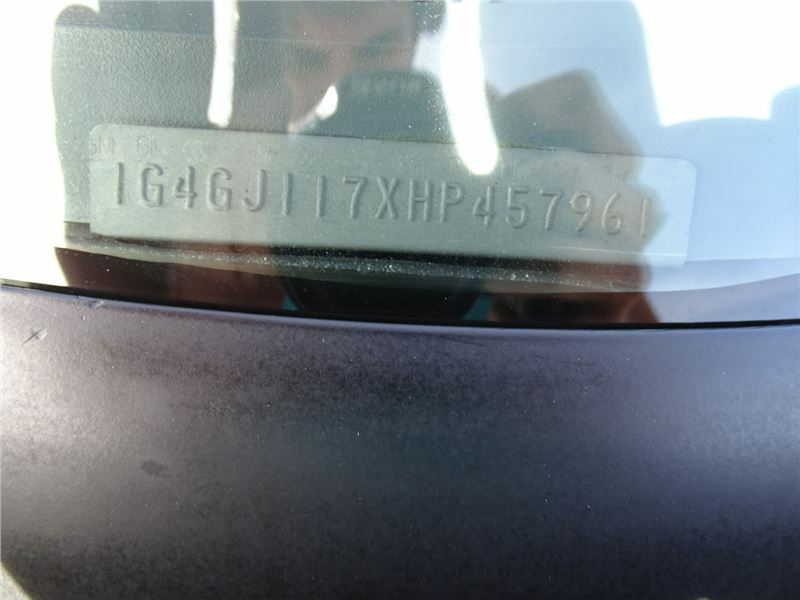 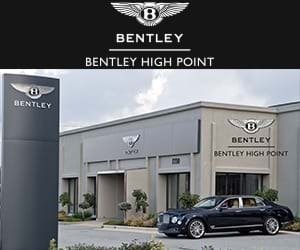 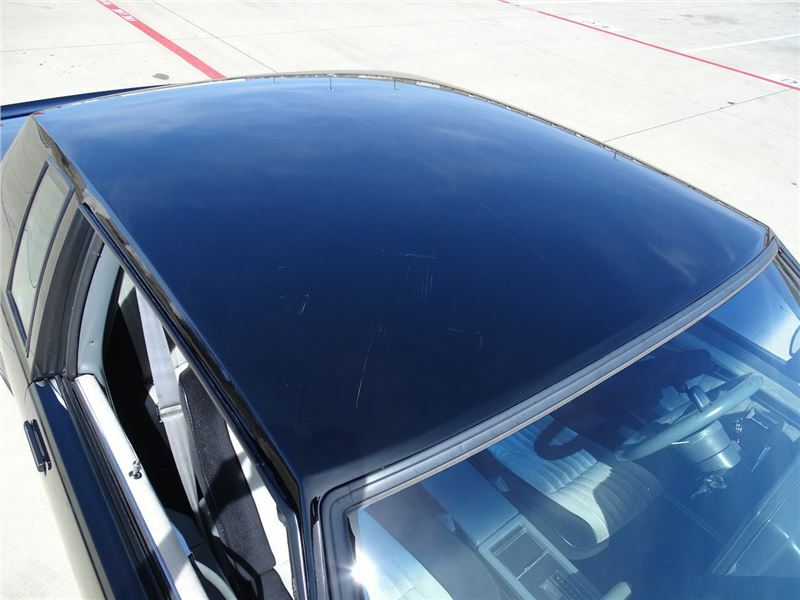 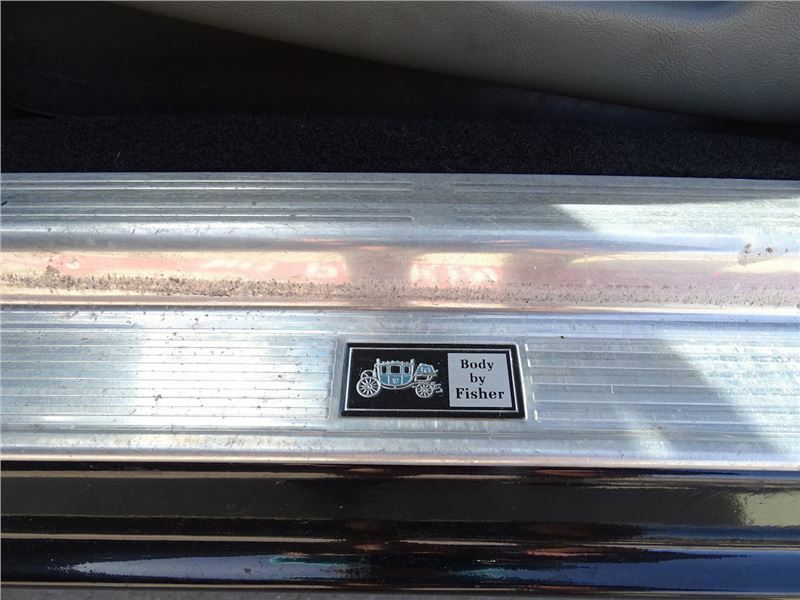 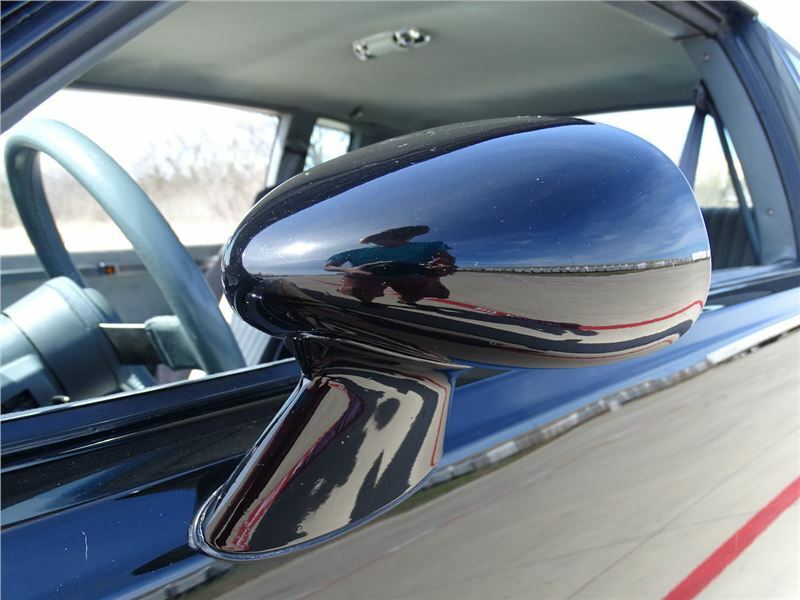 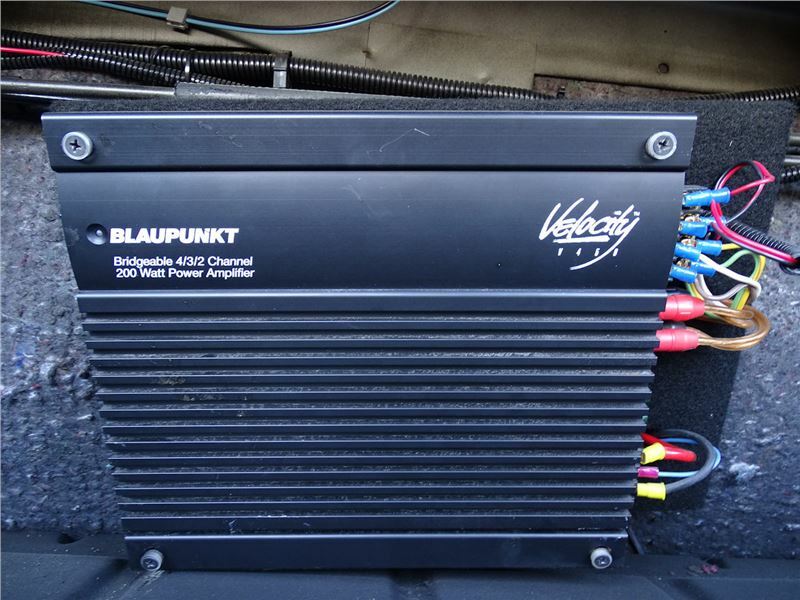 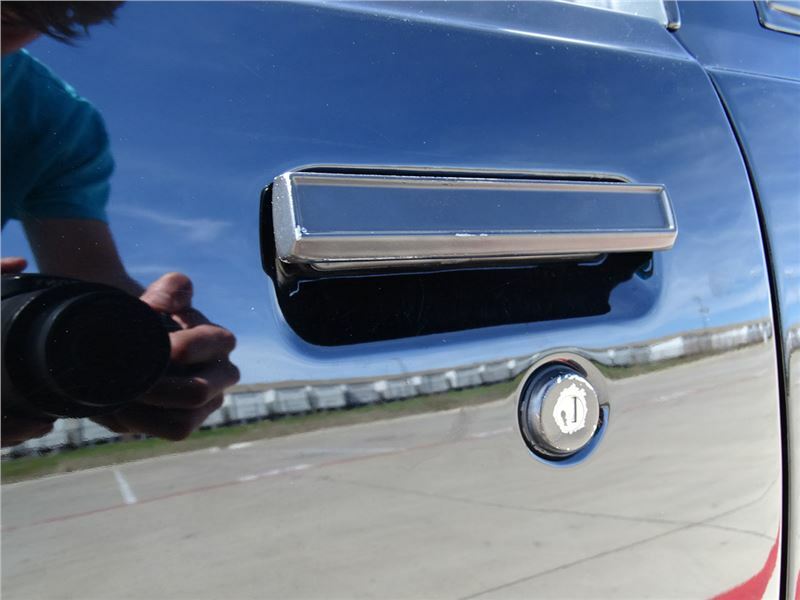 For more information please call the Dallas/Fort Worth Showroom at 817-310-9400 or email at dallas@gatewayclassiccars.com.